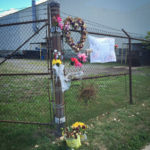 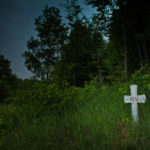 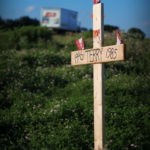 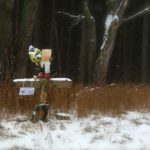 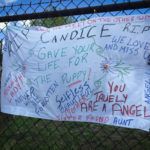 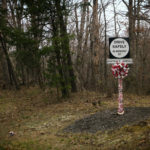 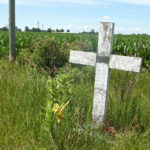 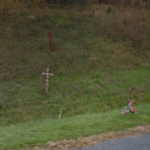 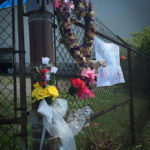 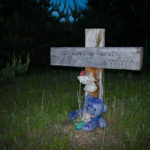 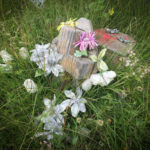 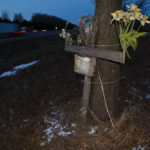 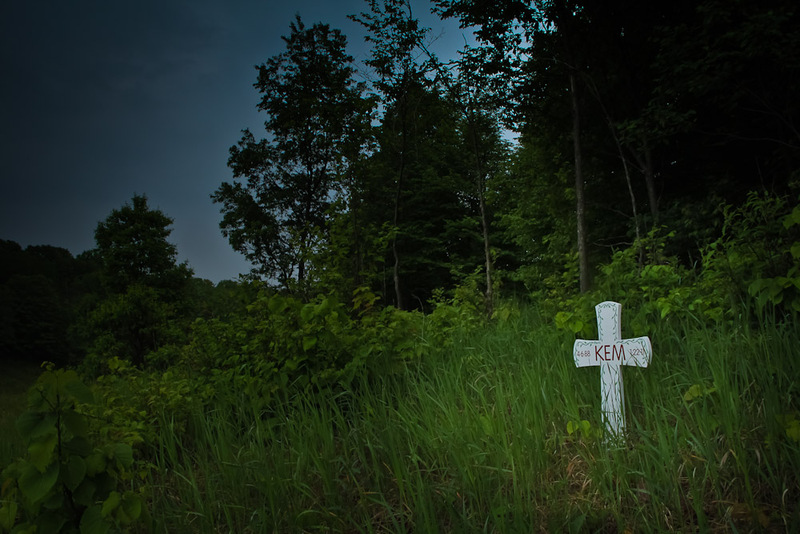 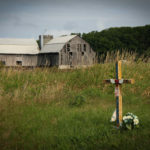 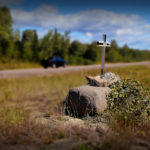 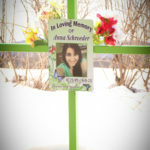 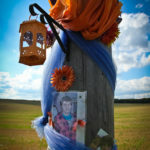 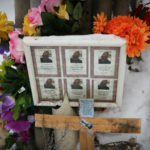 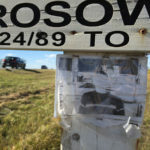 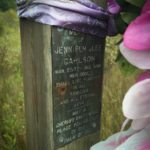 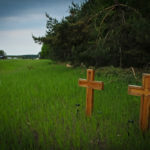 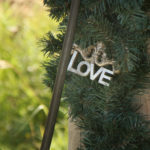 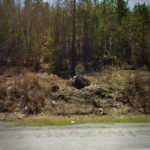 I have documented more than 100 Roadside Memorials so far. 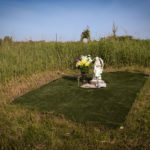 The styles range from simple crosses to elaborately decorated shrines with photos, keepsakes, mementos, flowers, and stuffed animals. 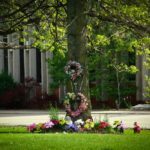 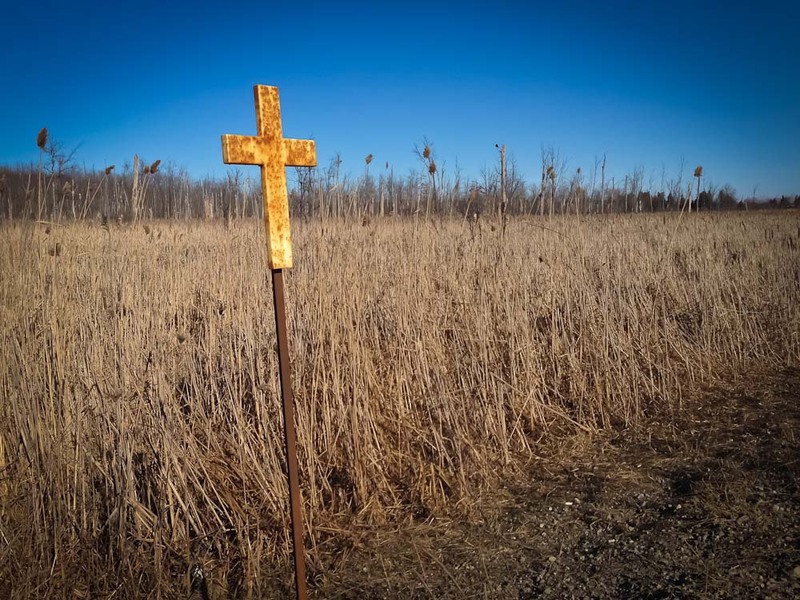 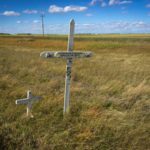 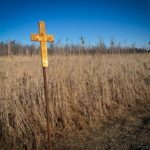 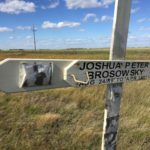 These memorials can be found around the world but it seems to be a growing trend that I have become increasingly aware of over the past decade. 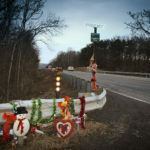 According to David Pierce on his website DESCANSOS: ROADSIDE MEMORIALS ON THE AMERICAN HIGHWAY "The custom of marking the site of a death on the highway has deep roots in the Hispanic culture of the Southwest, where these memorials are often referred to as Descansos ("resting places")". 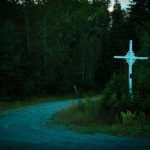 When I first began to collect these images back in 2010 I thought I was doing something unique. 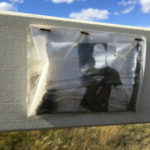 Eventually I discovered that the phenomenon is well documented. 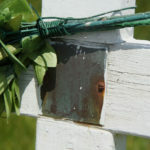 I have provided a number of links to articles and other information below. 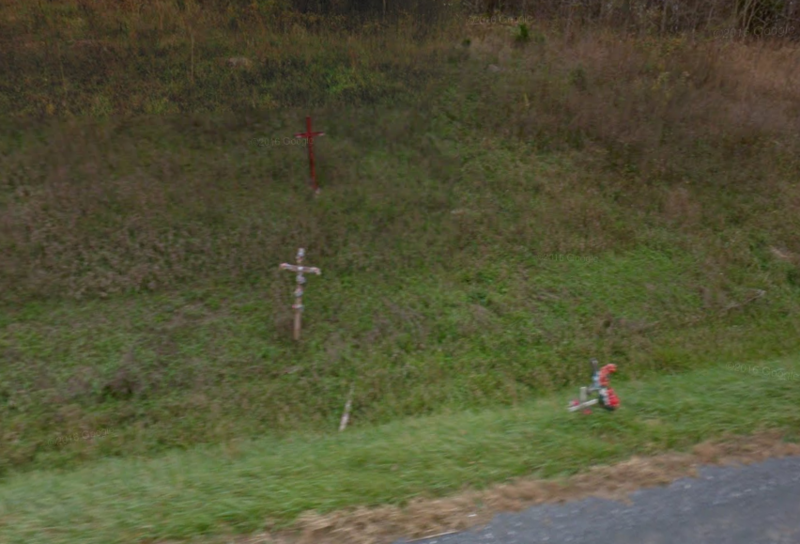 To navigate this markers zoom in and out of the Google Map to a location and click on a cross. 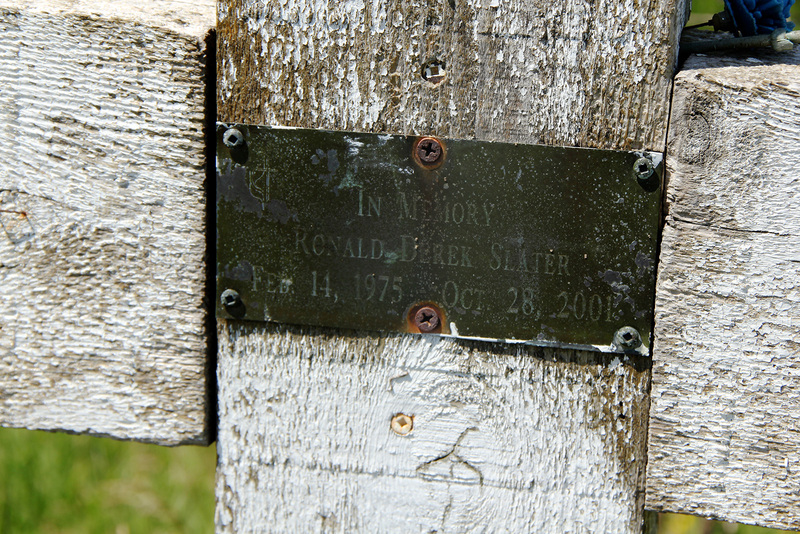 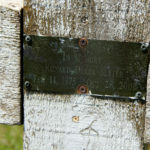 This will open a side panel on the left where some details might be displayed if discovered as well as an image(s) that you can view of the memorial. 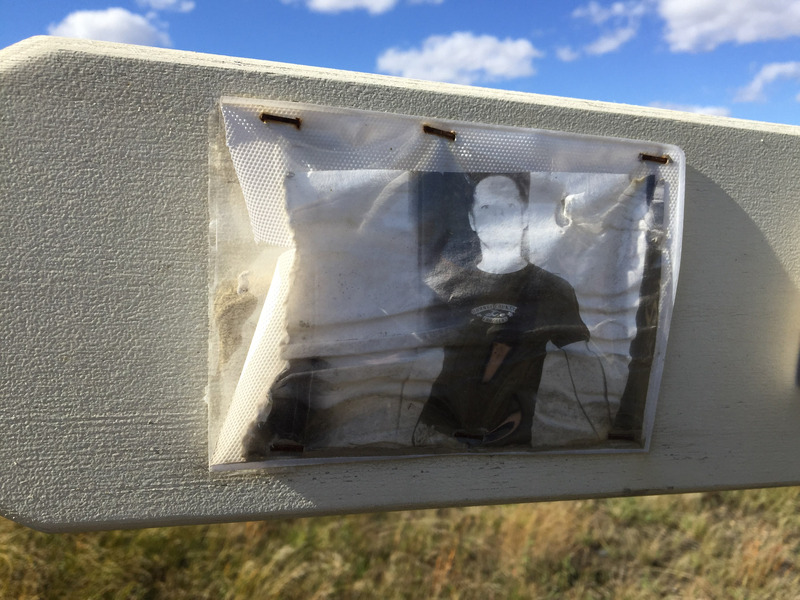 By clicking the icon in the top left of the window toy can also reveal os hide the navigation and details panel. 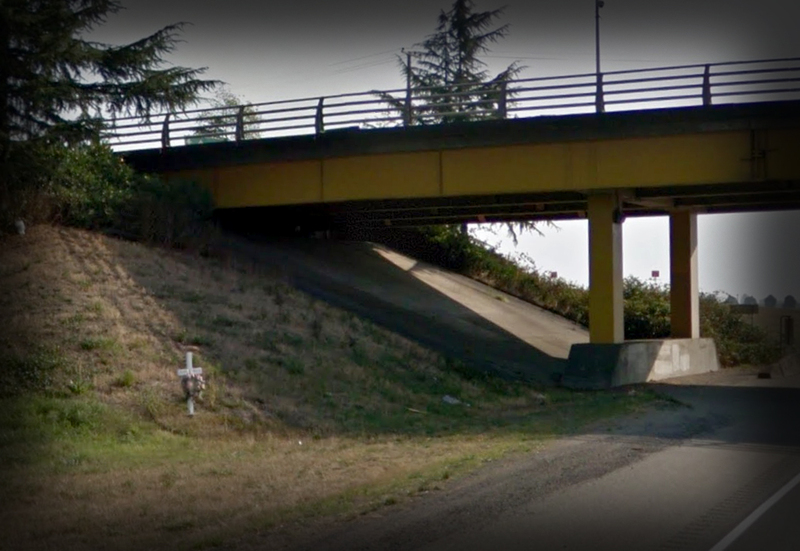 In cases where I was not able to take my own images I used Google Street Level images to display the location. 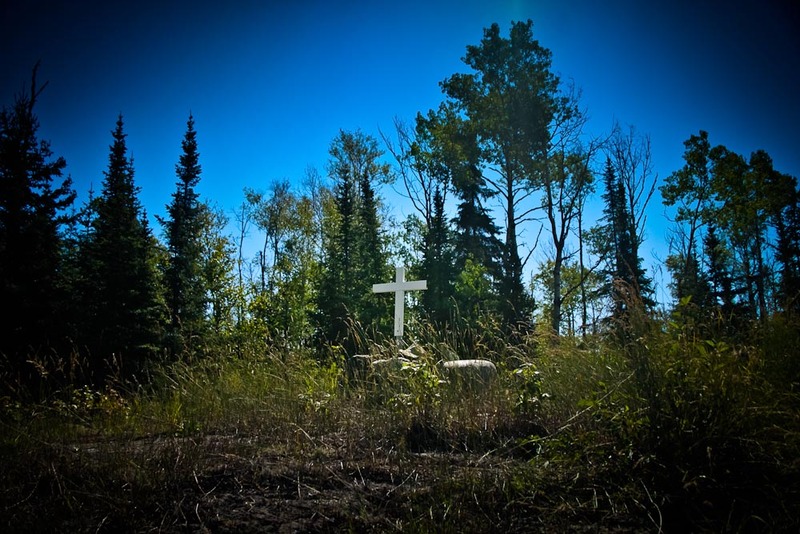 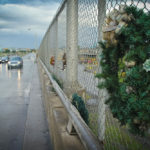 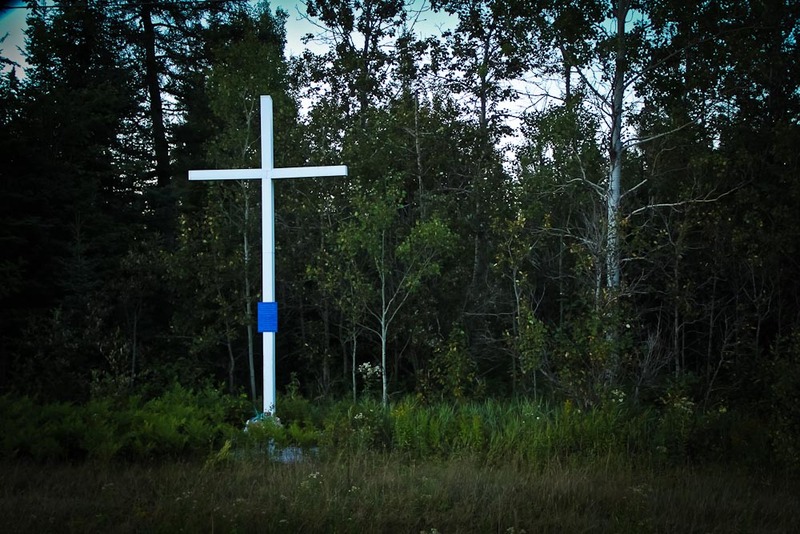 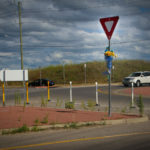 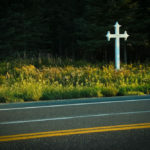 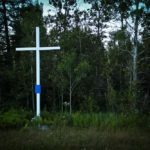 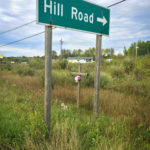 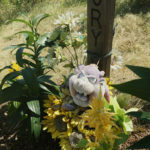 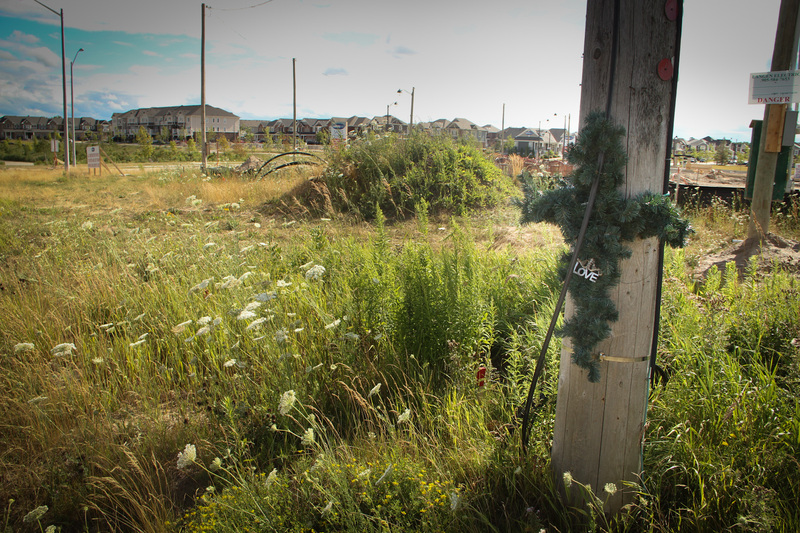 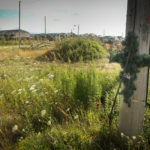 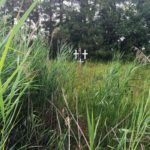 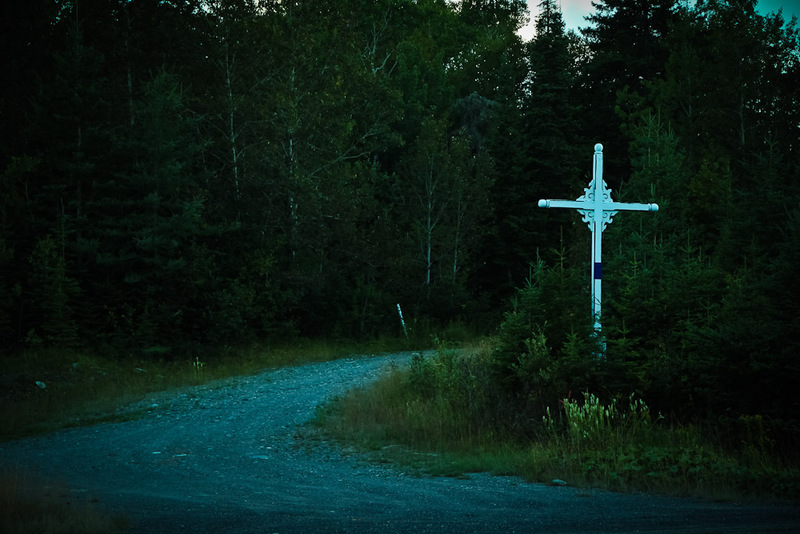 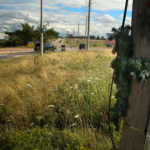 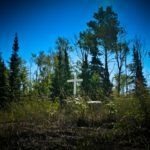 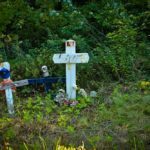 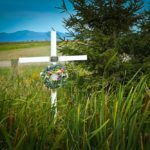 Book: Private Grief, Public Mourning: The Rise of the Roadside Shrine in B.C. 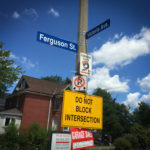 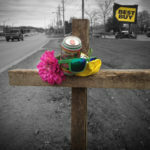 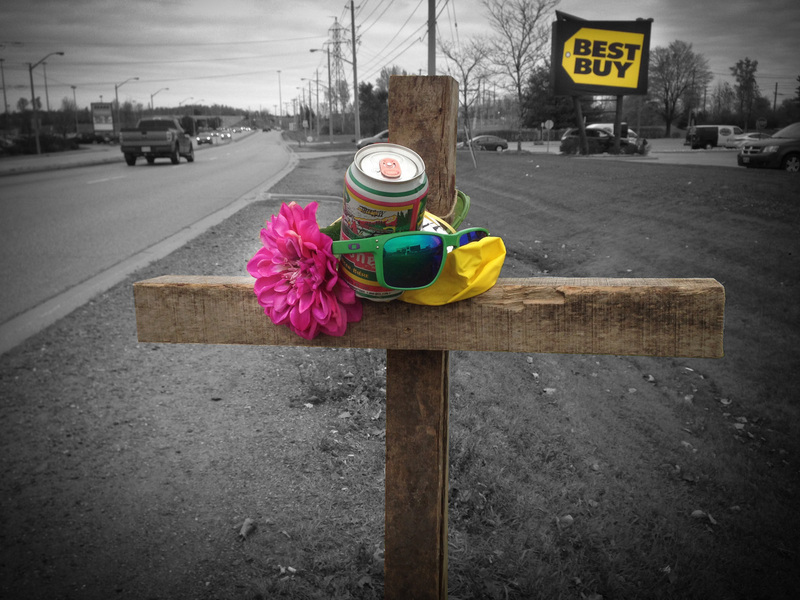 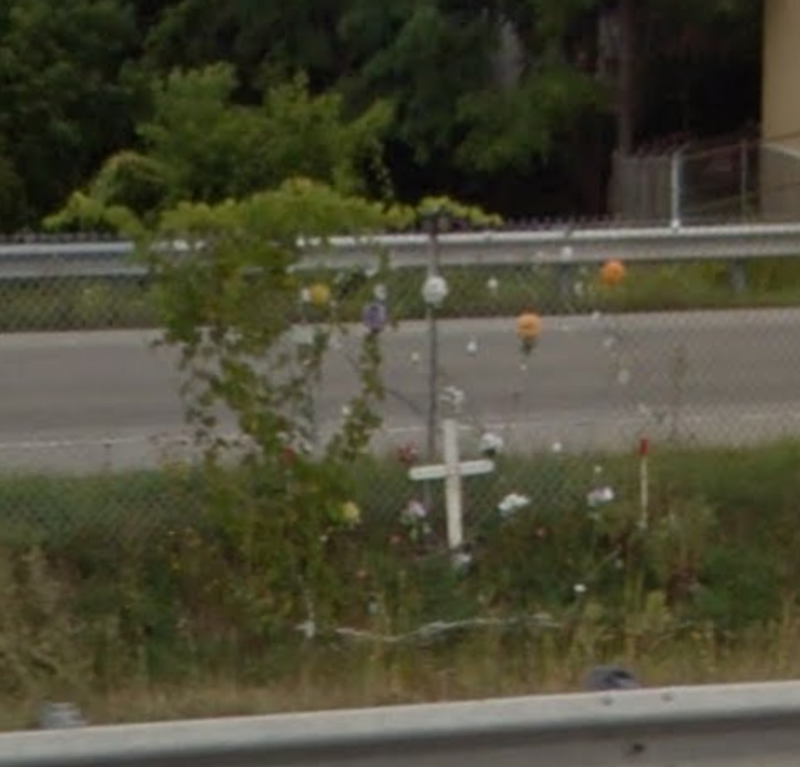 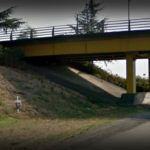 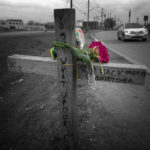 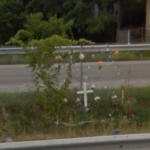 Descansos - Roadside Memorials that impact my daily commute. 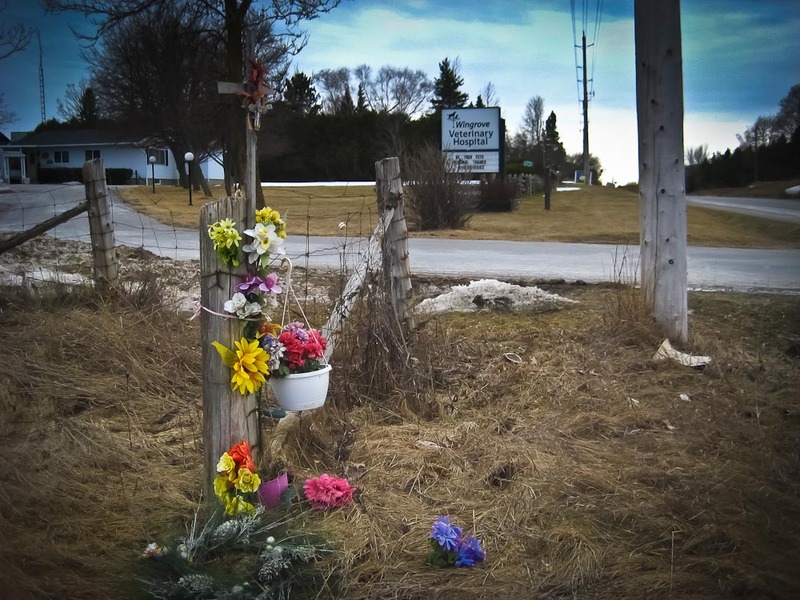 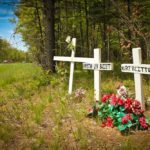 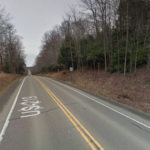 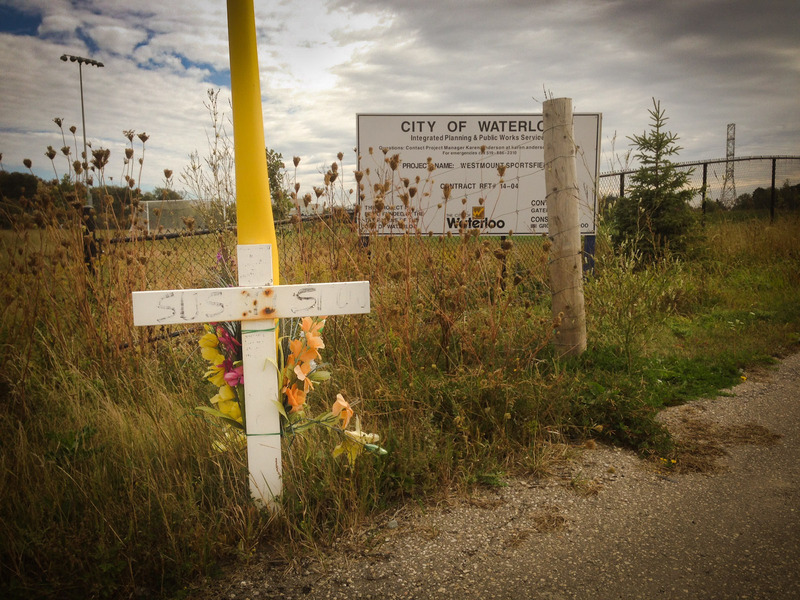 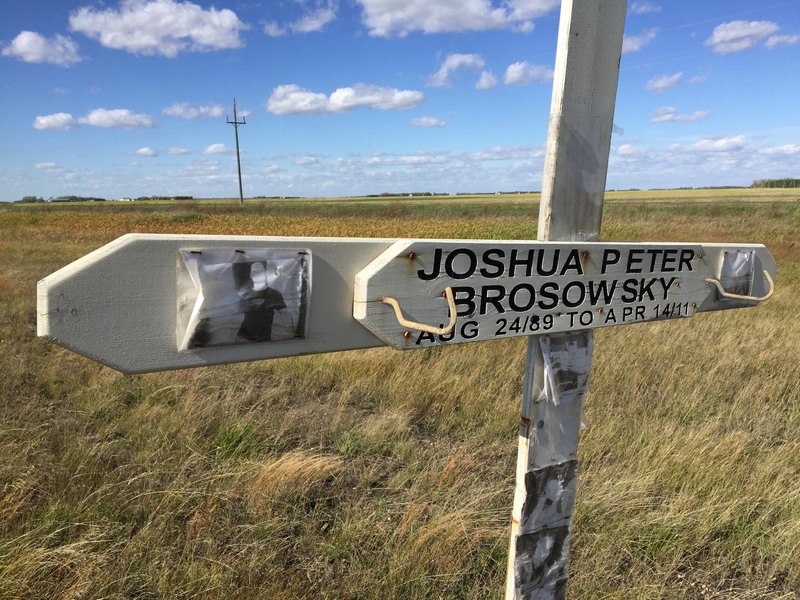 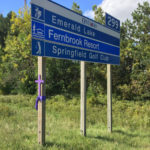 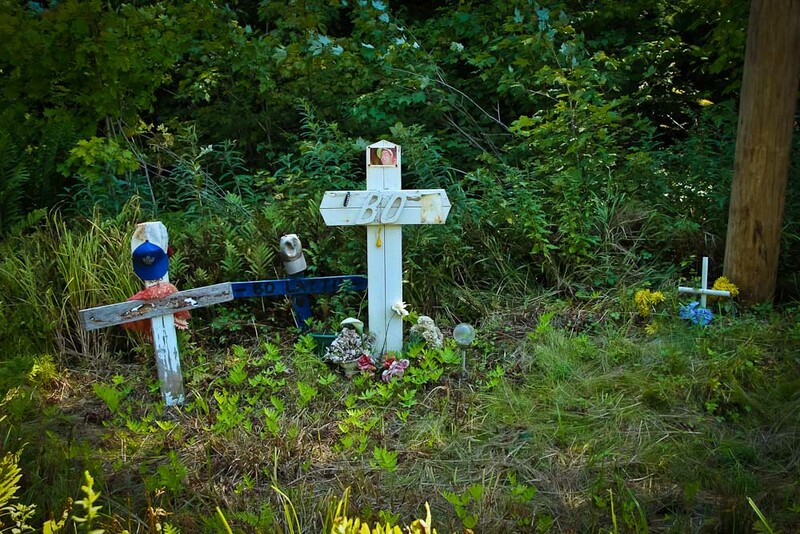 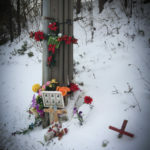 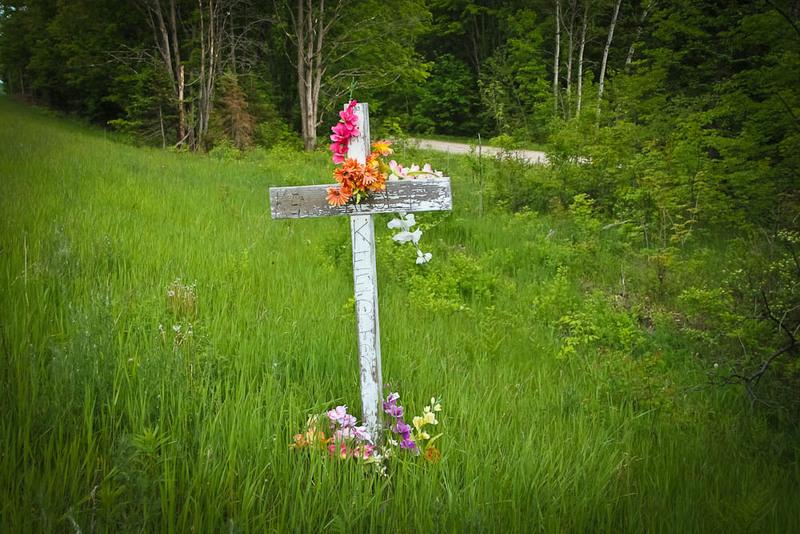 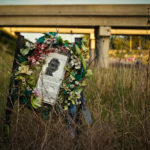 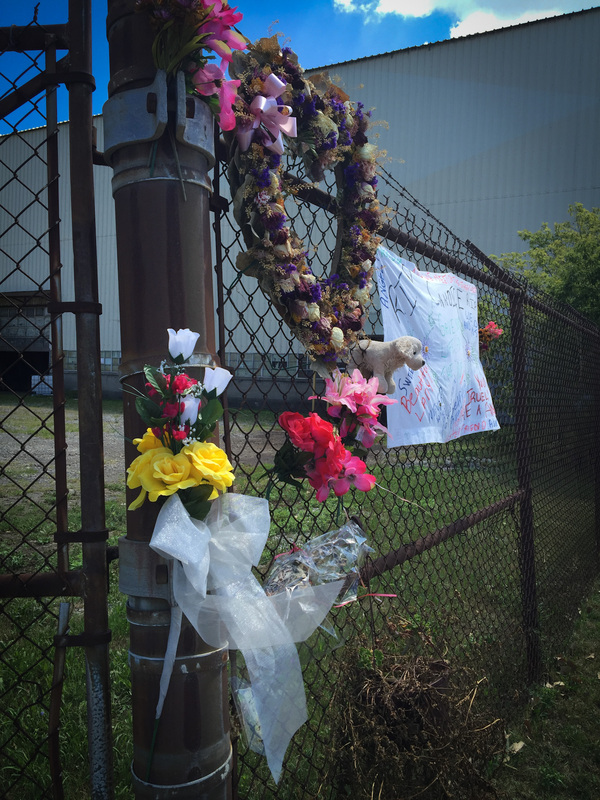 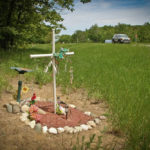 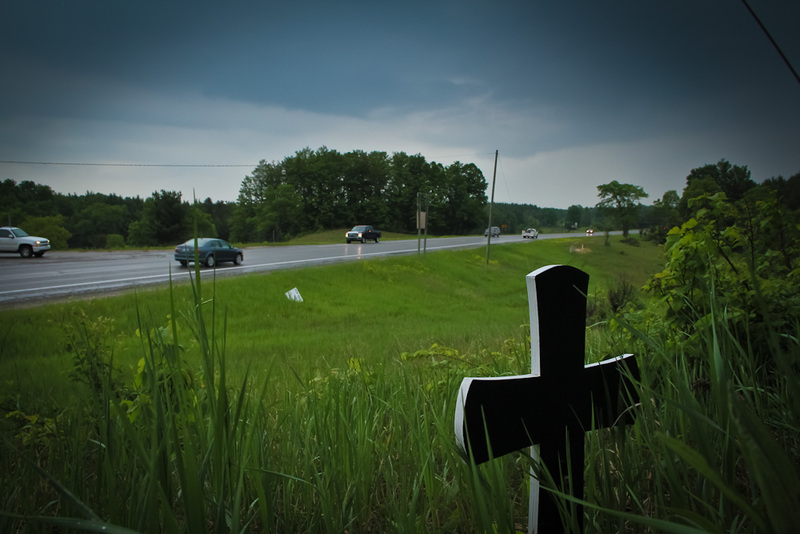 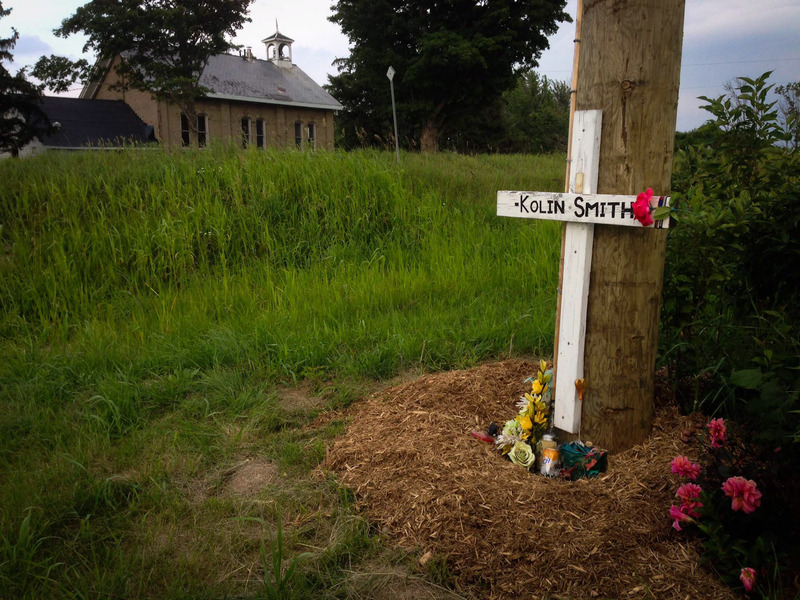 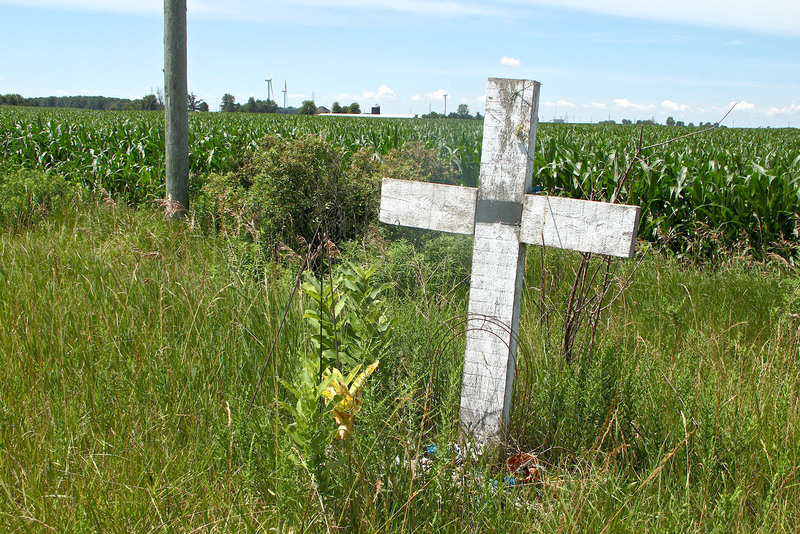 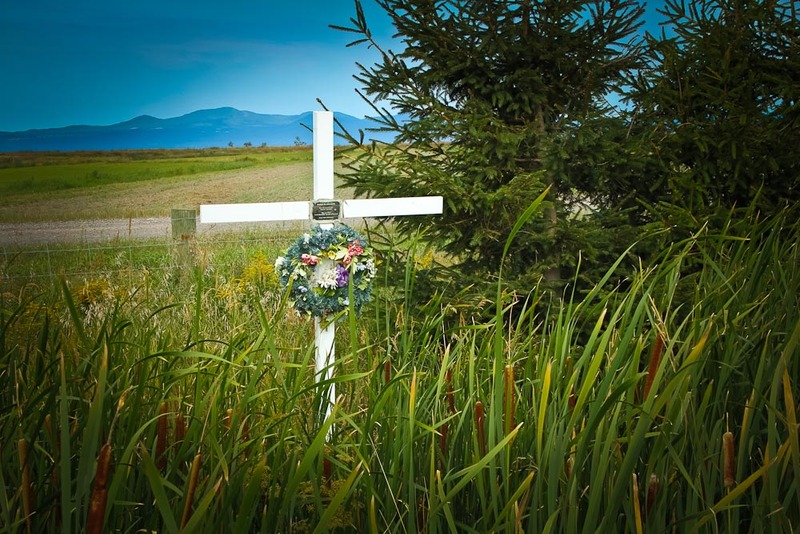 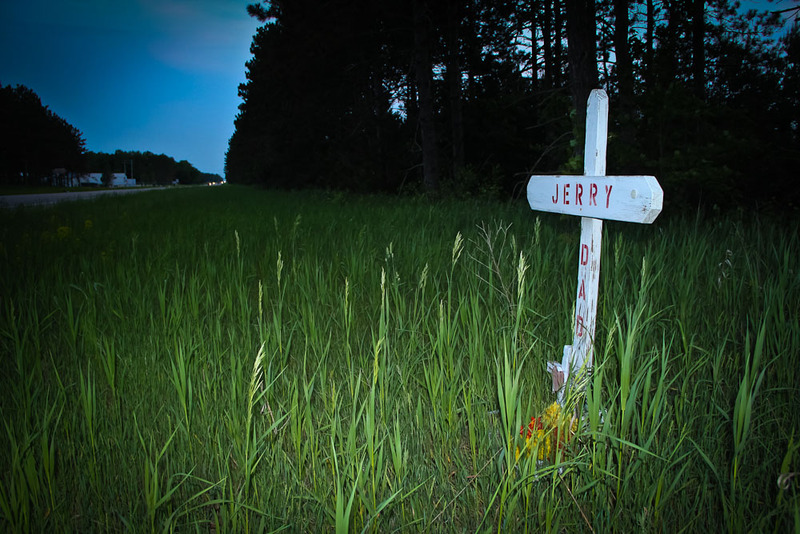 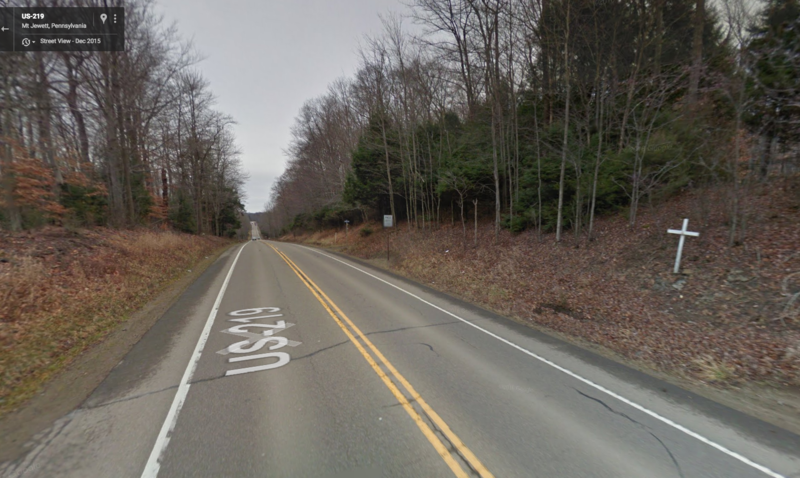 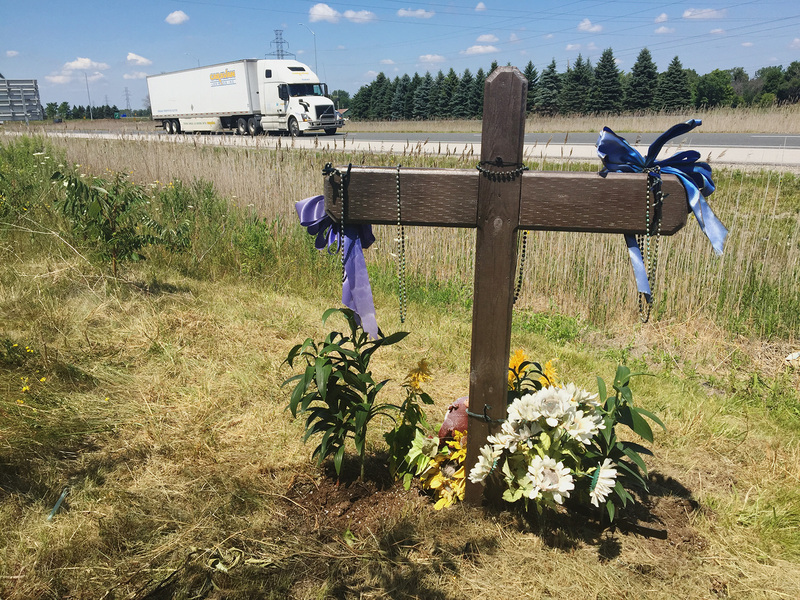 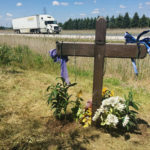 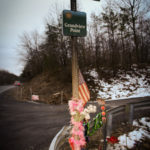 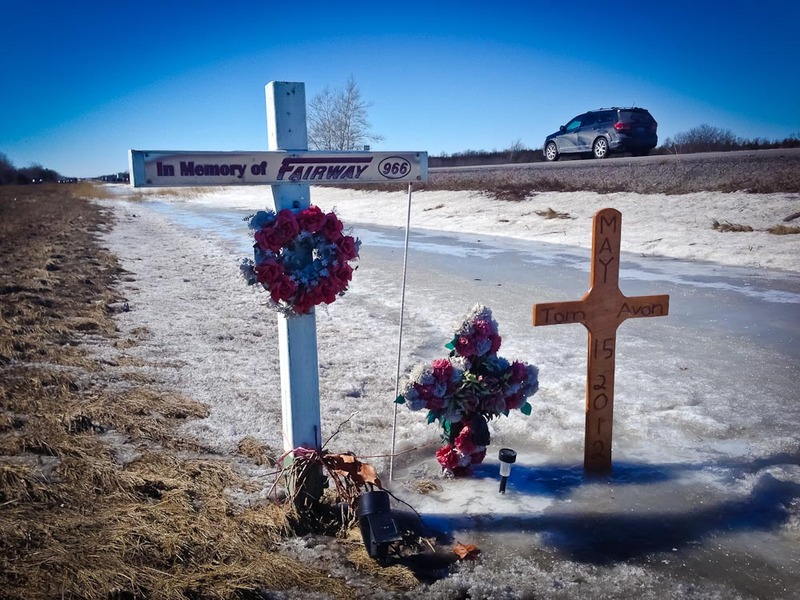 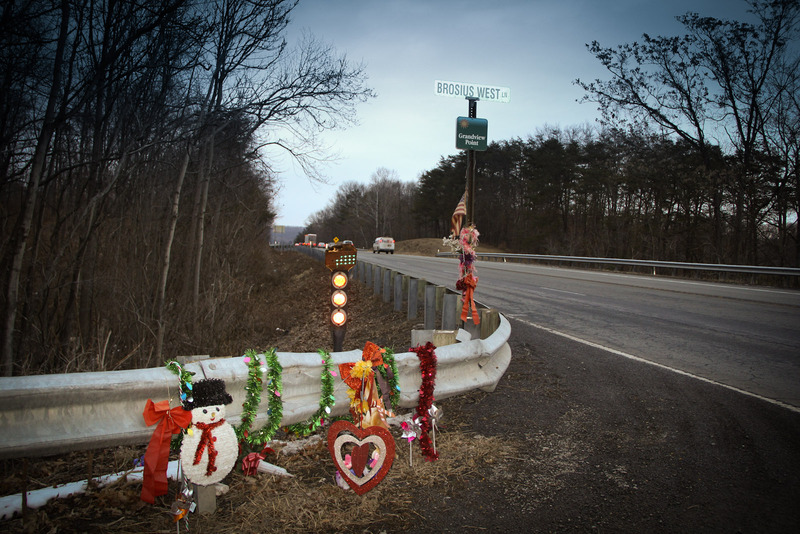 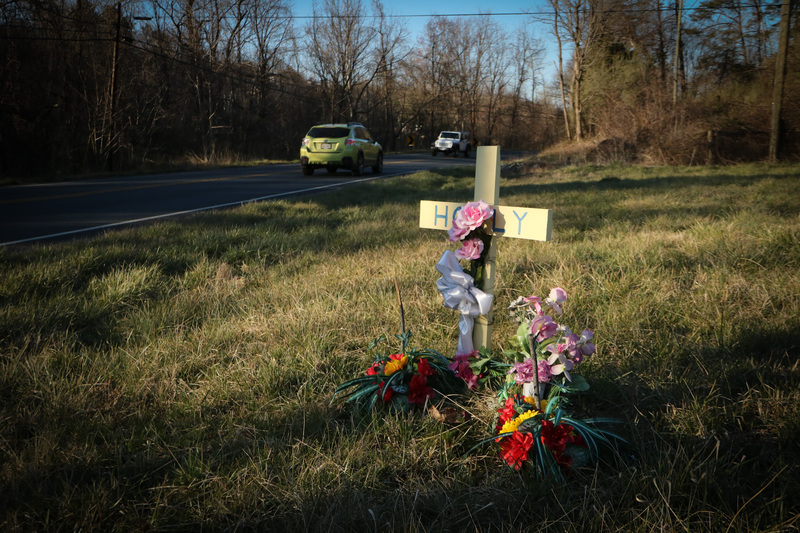 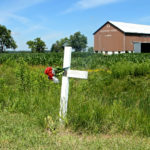 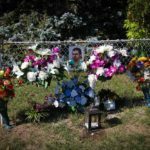 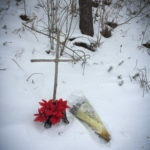 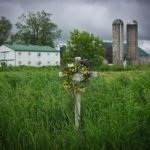 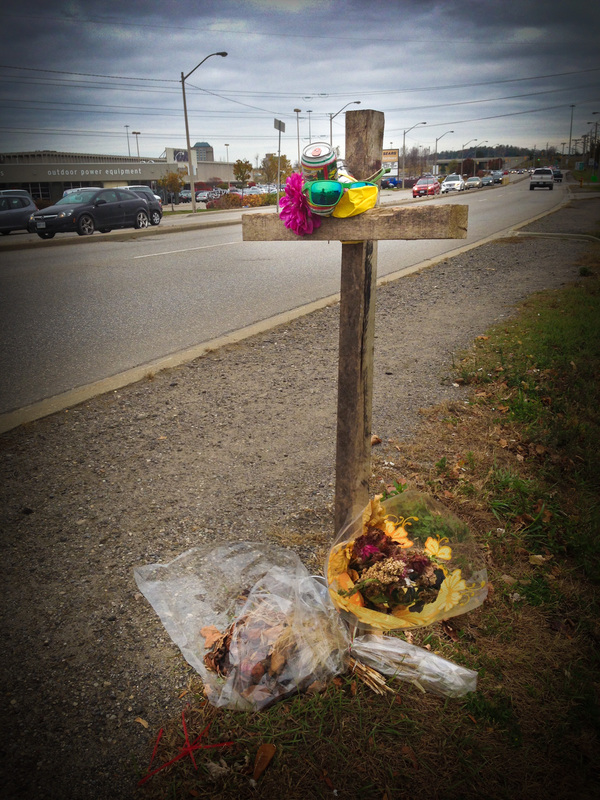 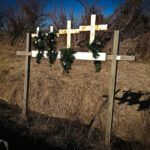 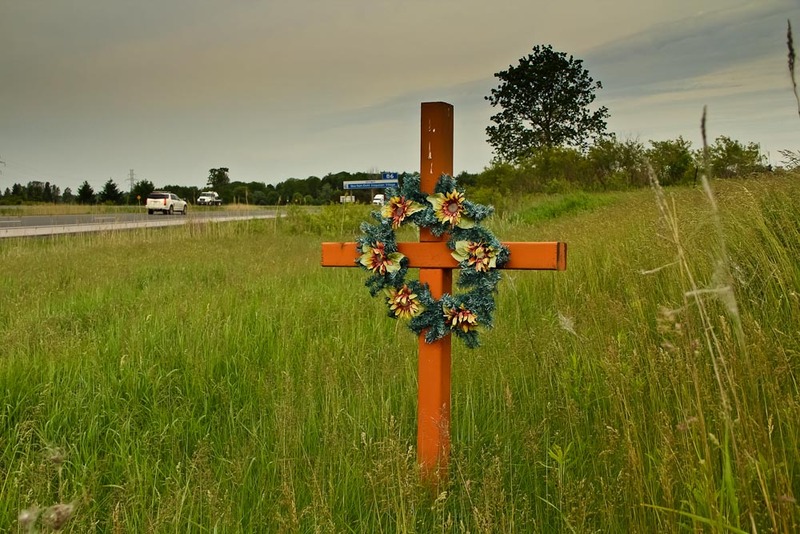 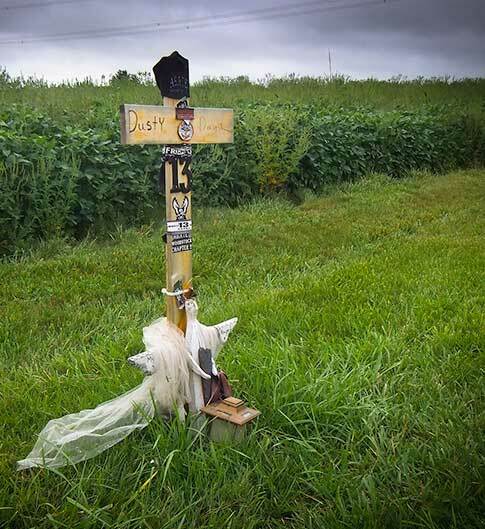 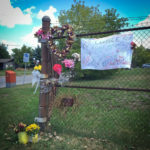 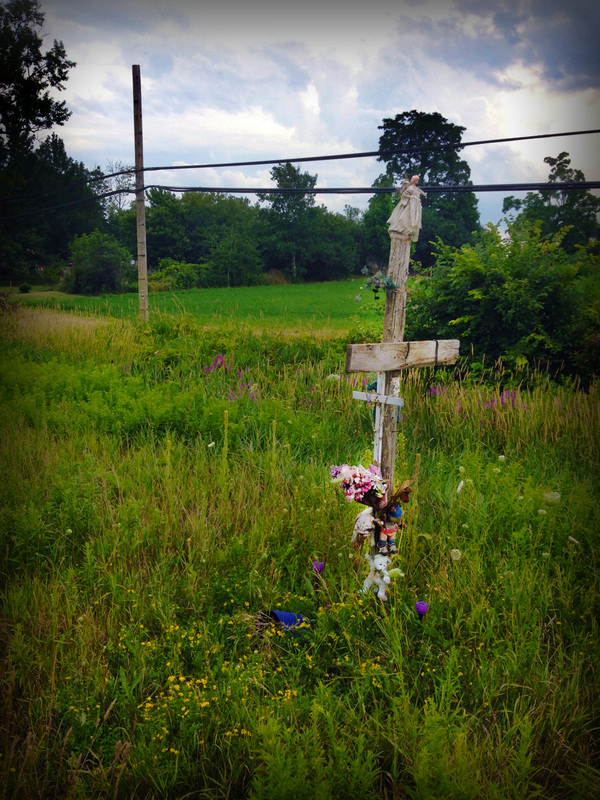 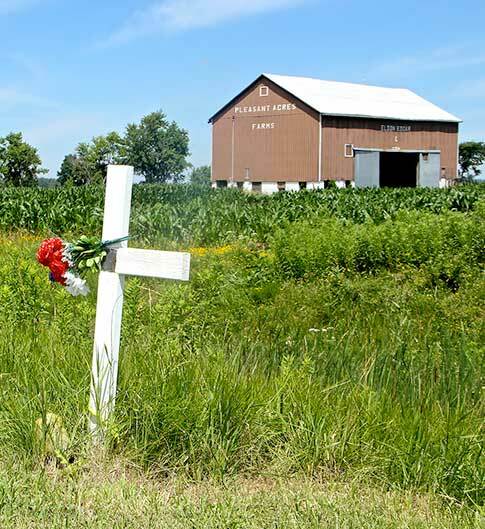 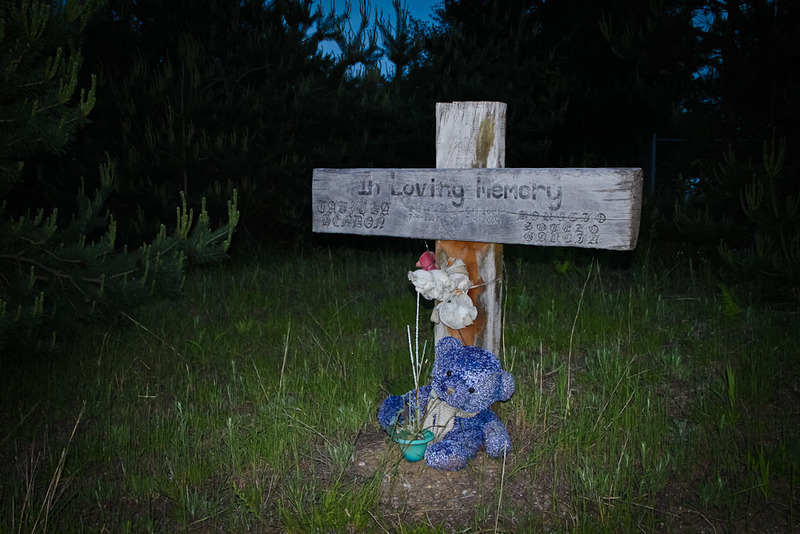 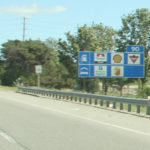 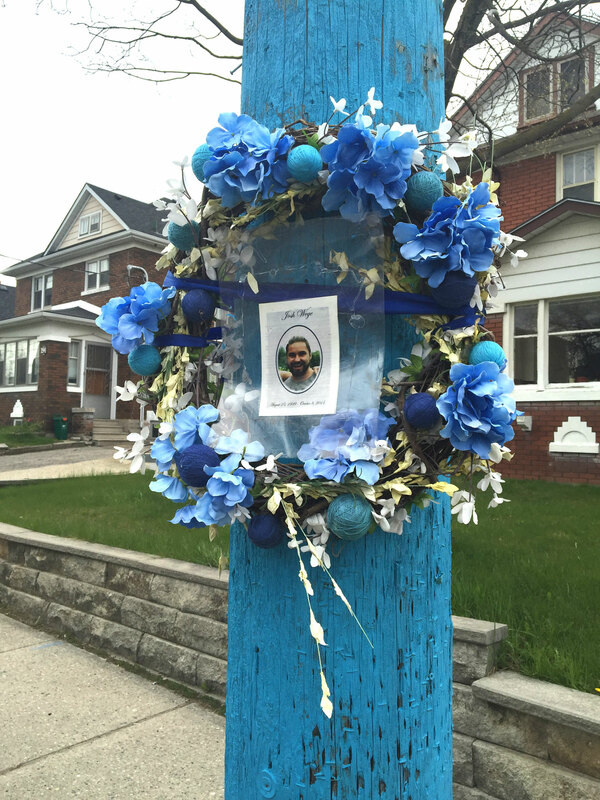 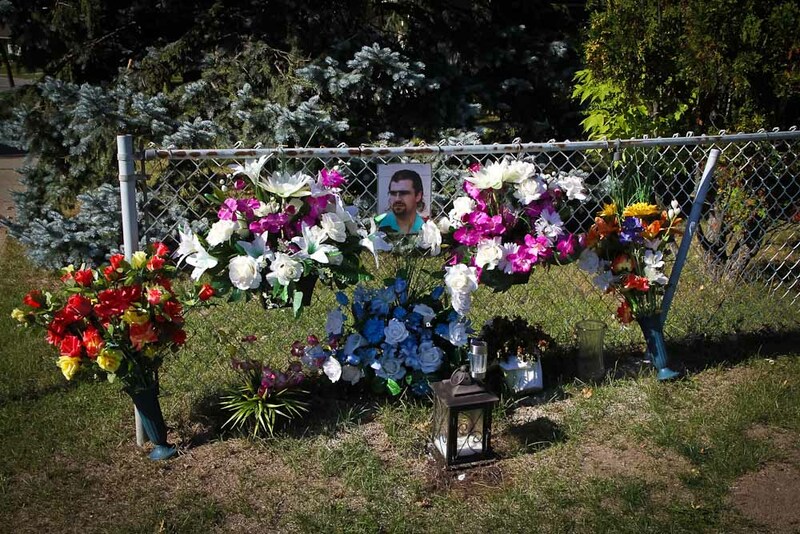 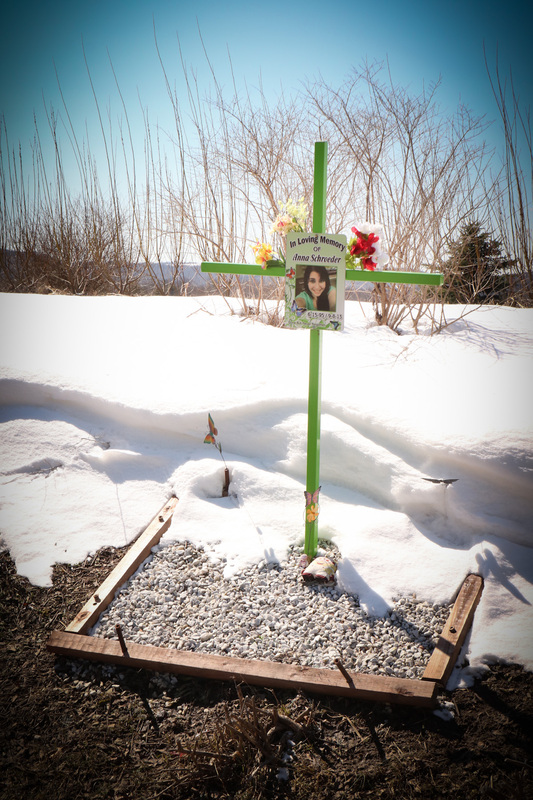 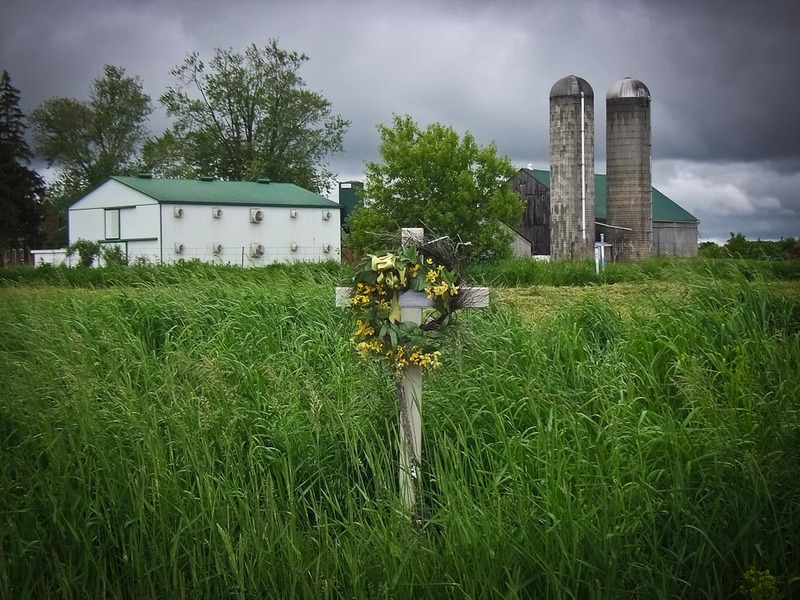 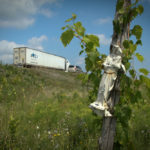 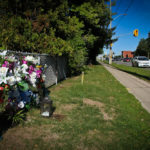 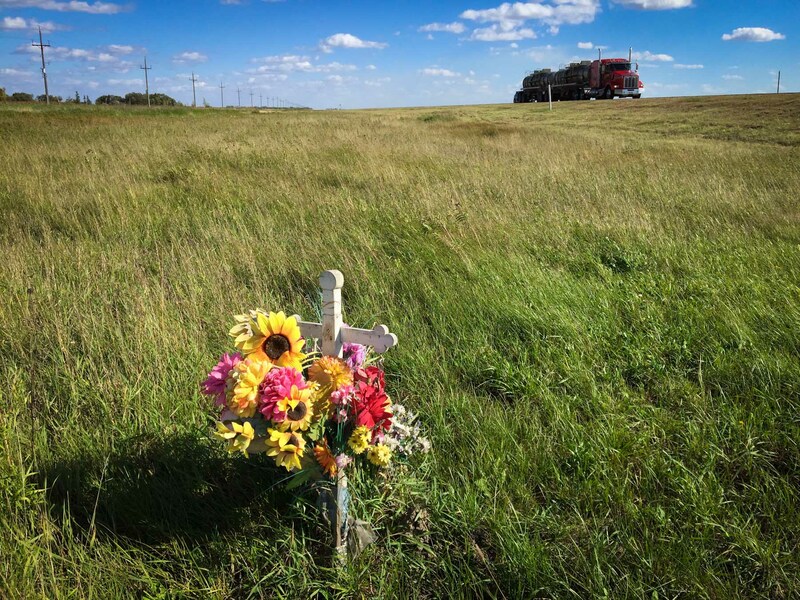 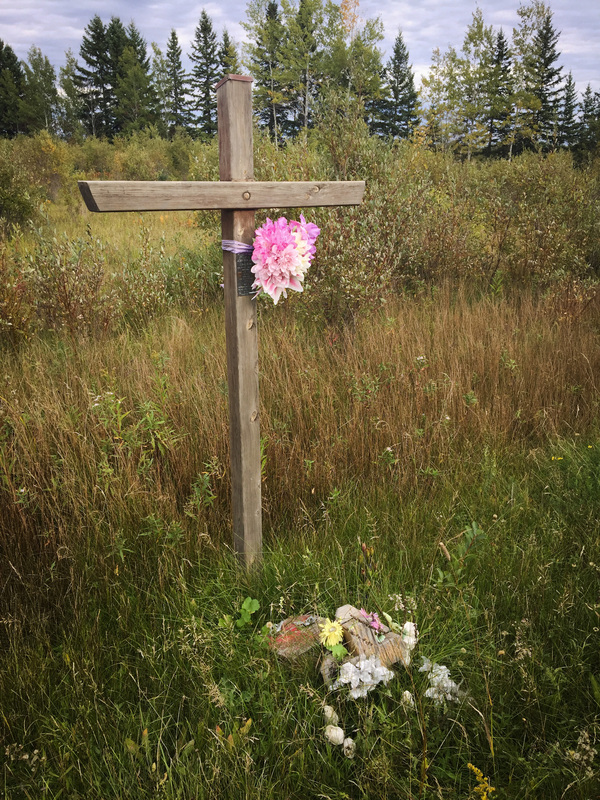 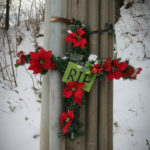 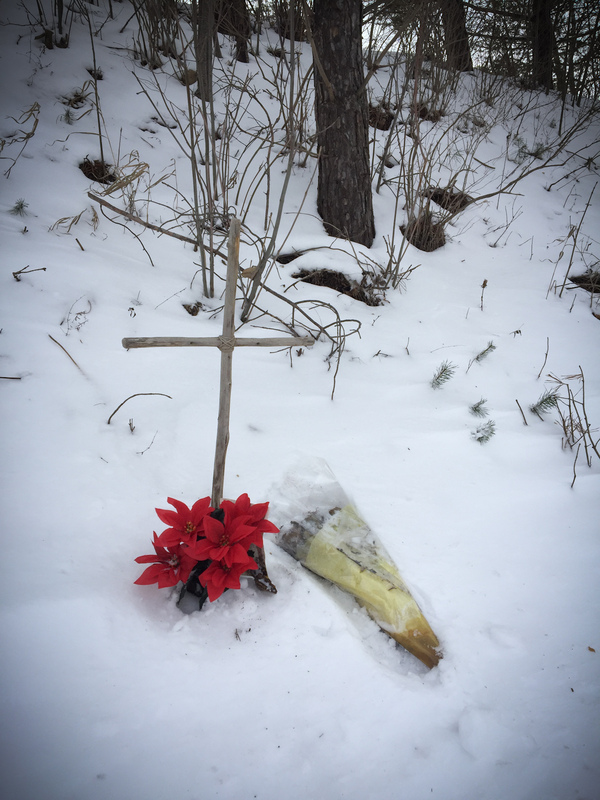 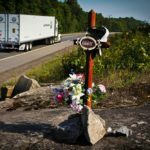 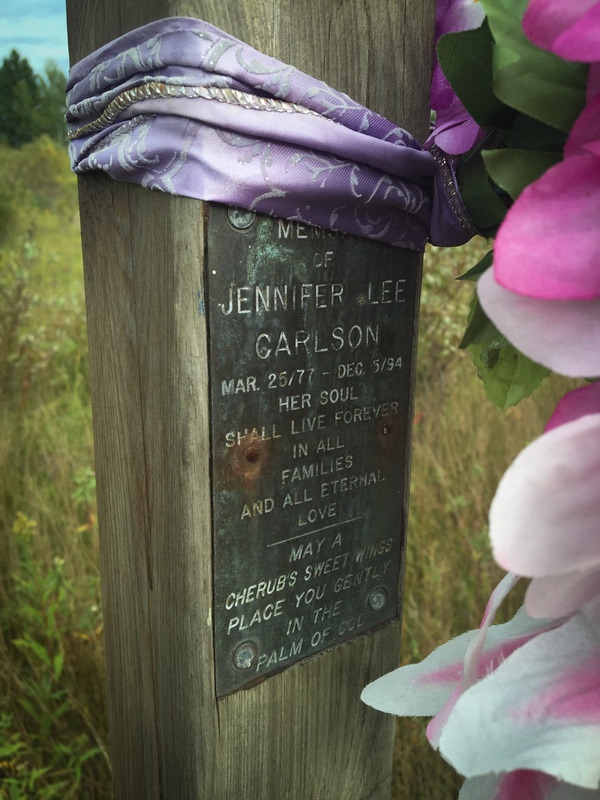 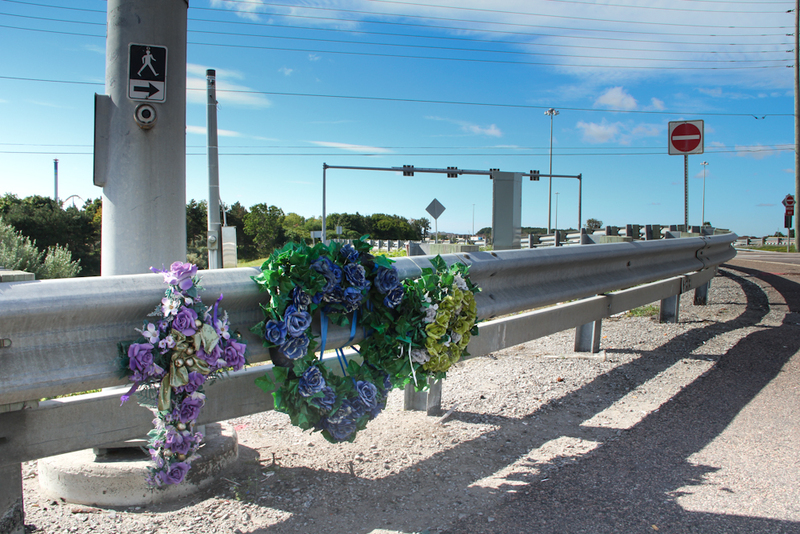 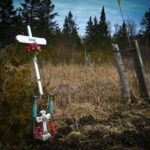 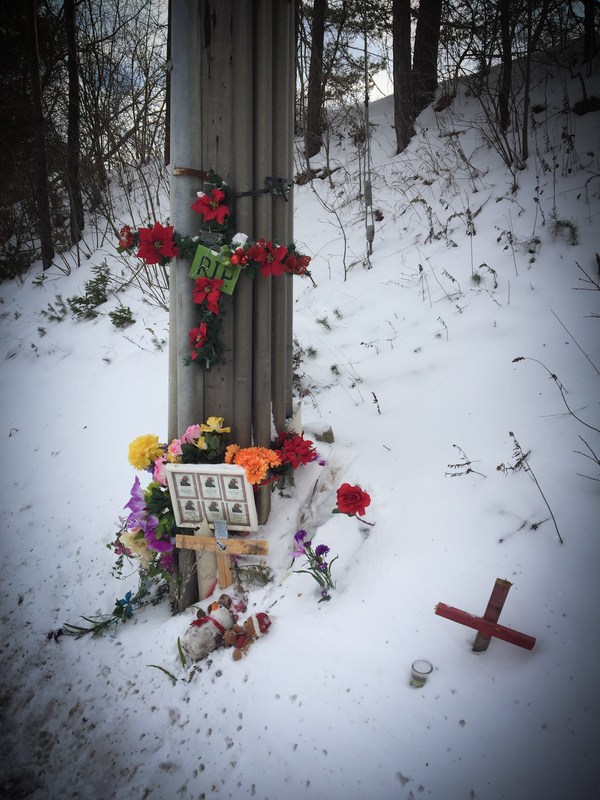 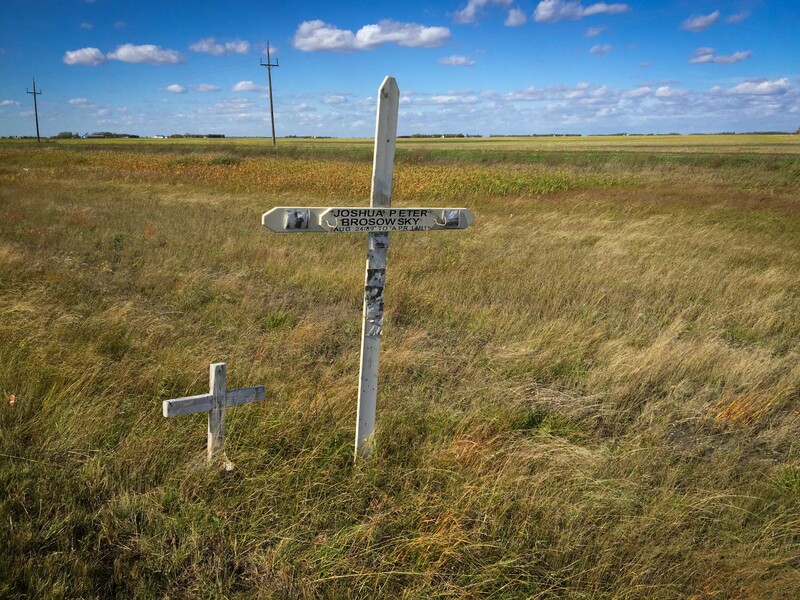 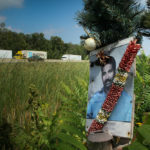 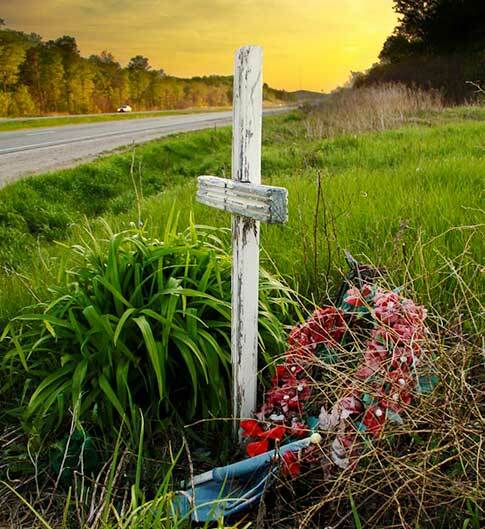 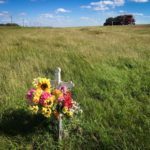 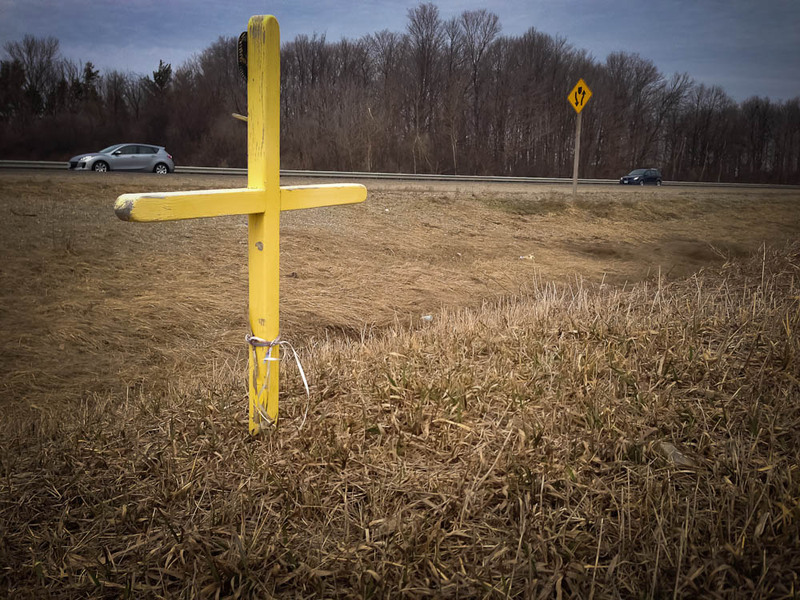 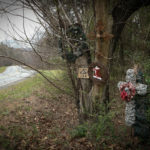 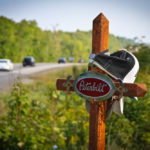 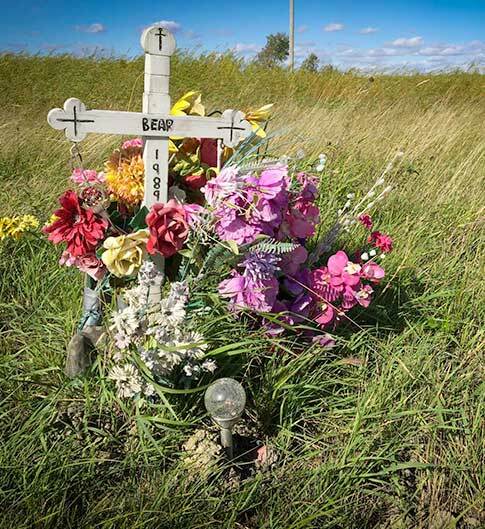 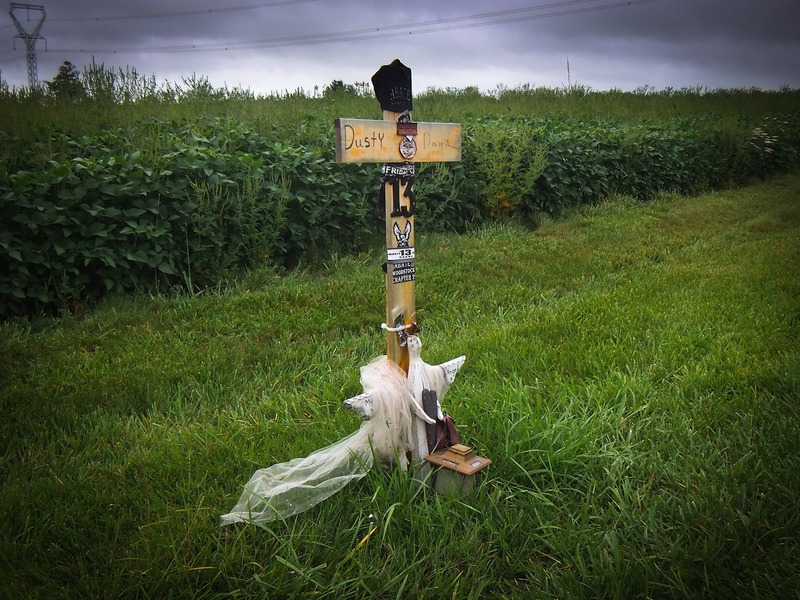 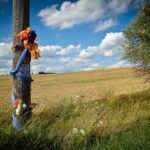 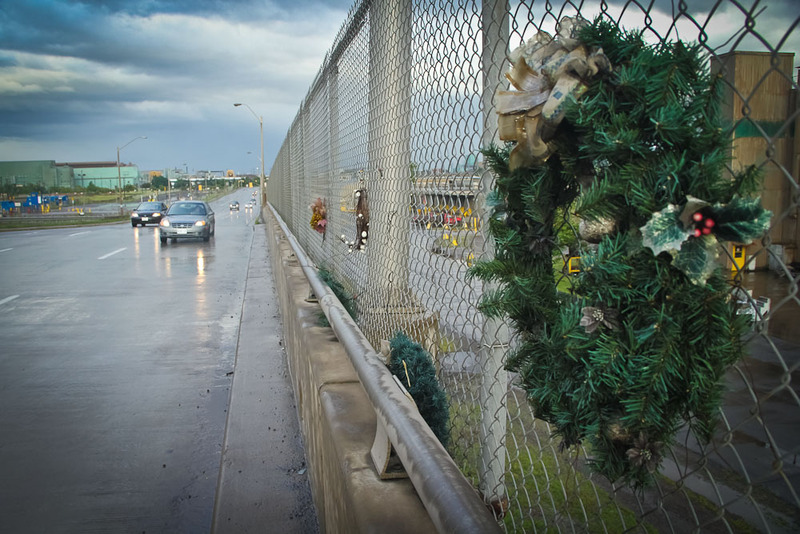 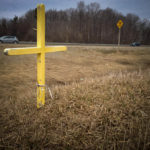 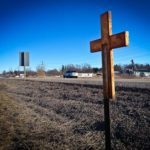 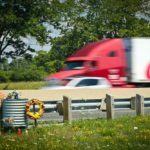 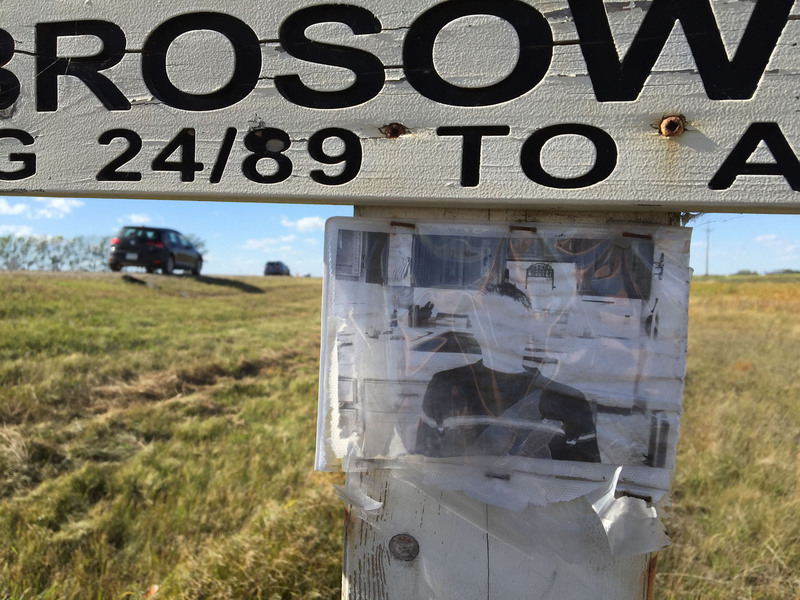 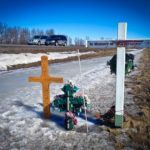 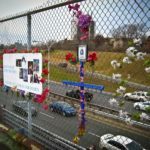 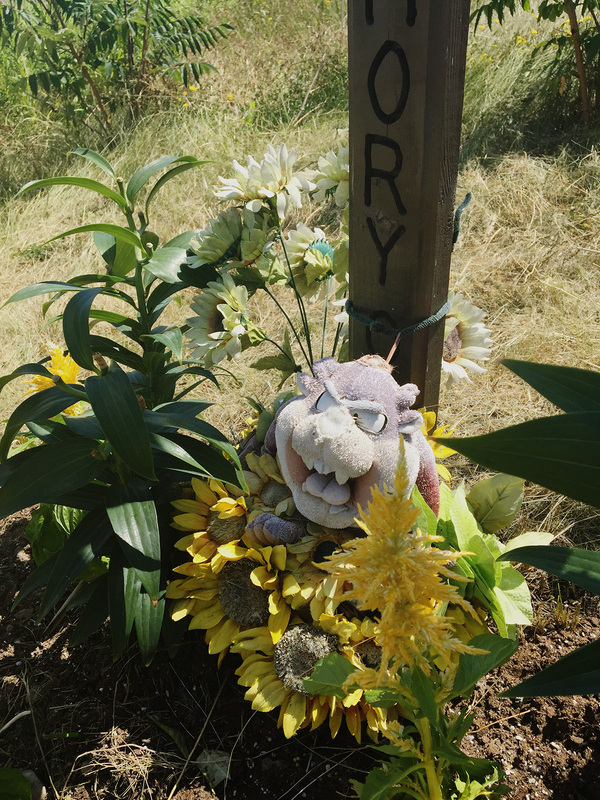 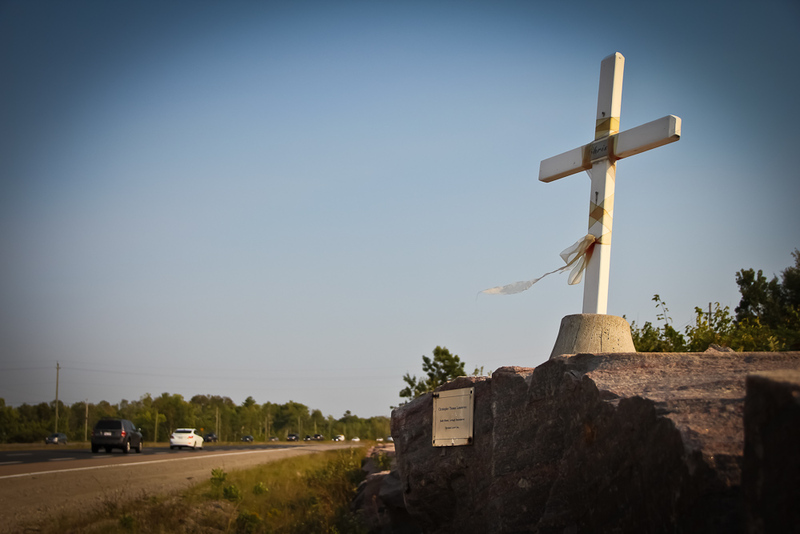 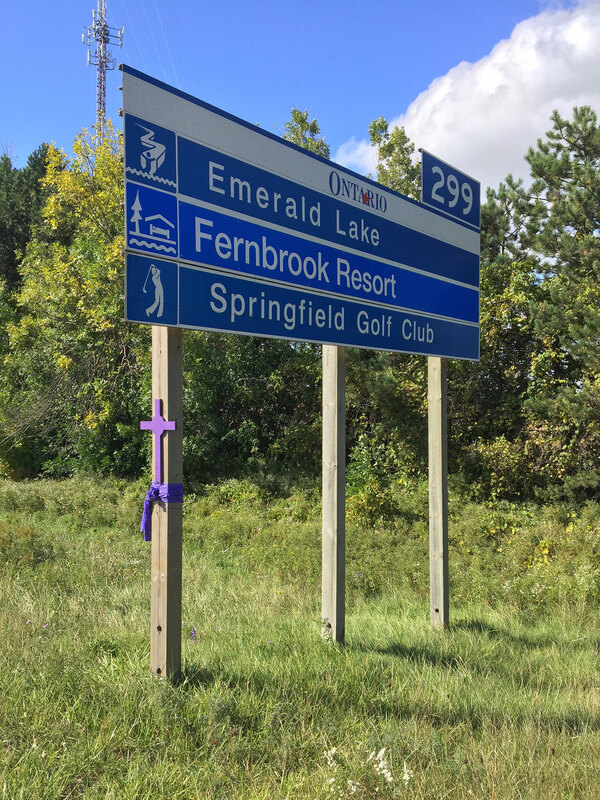 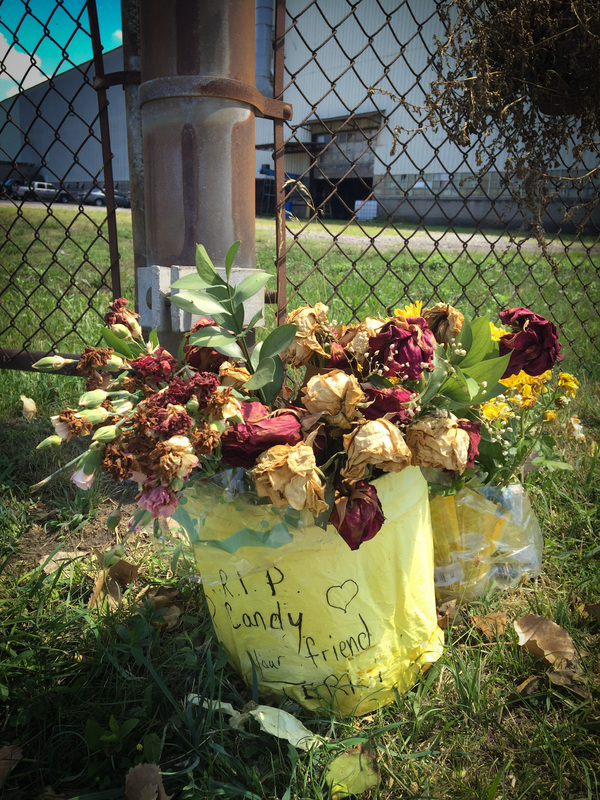 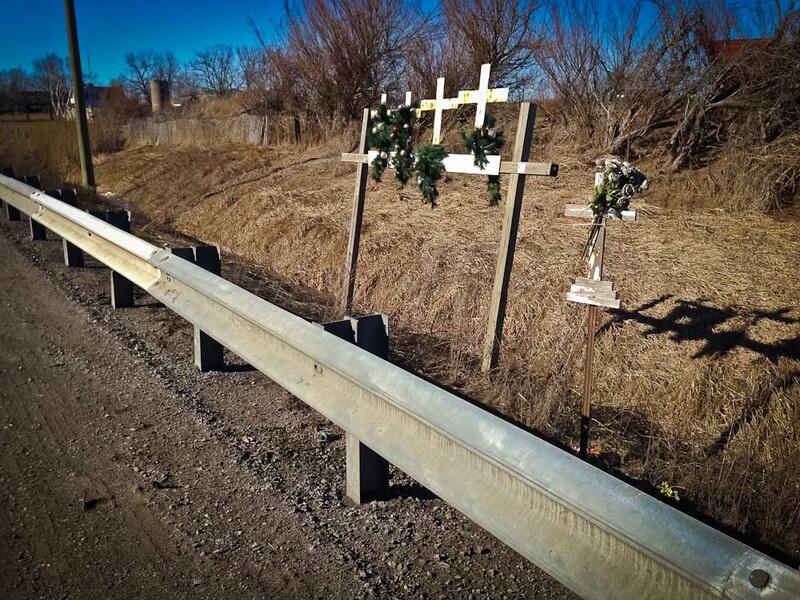 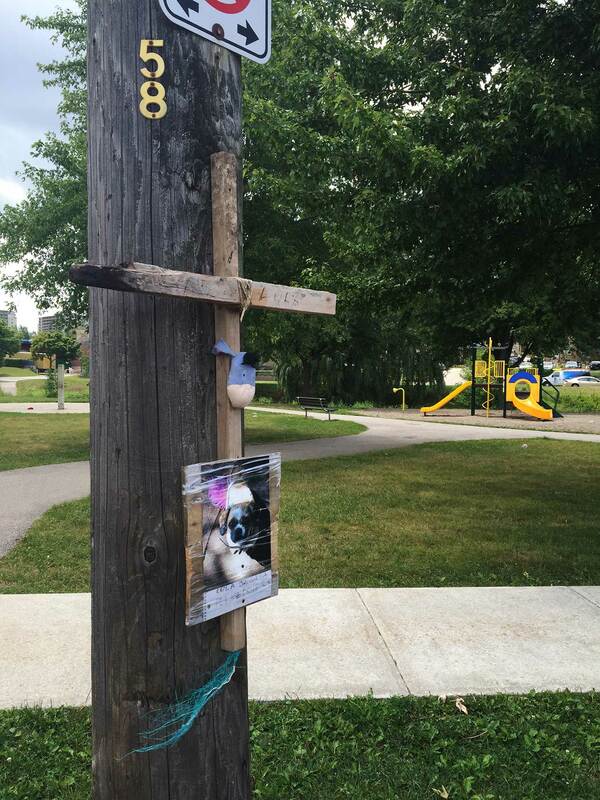 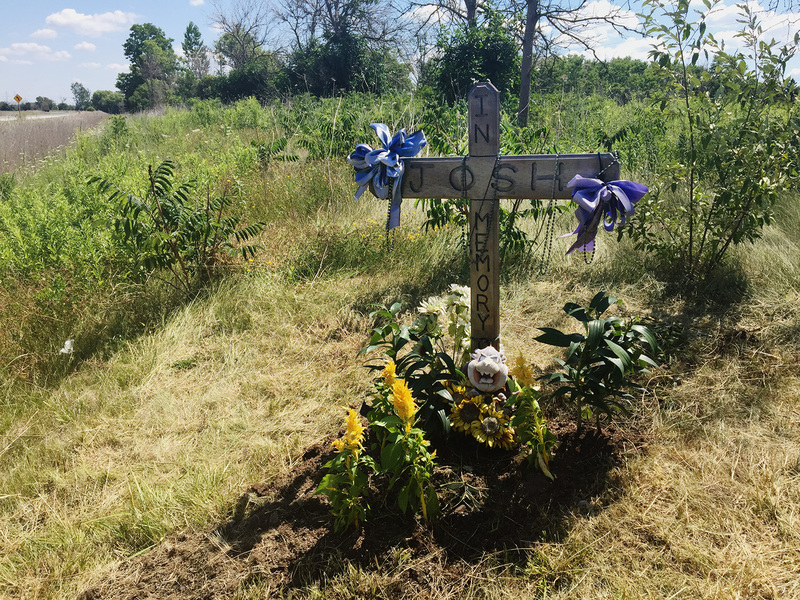 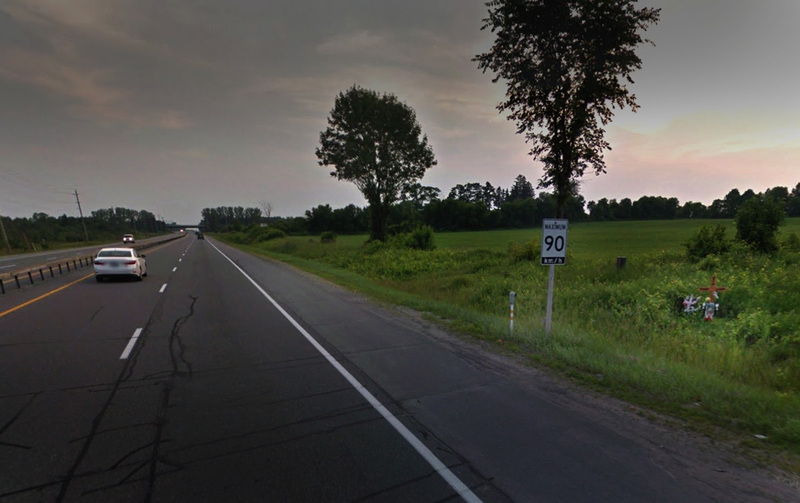 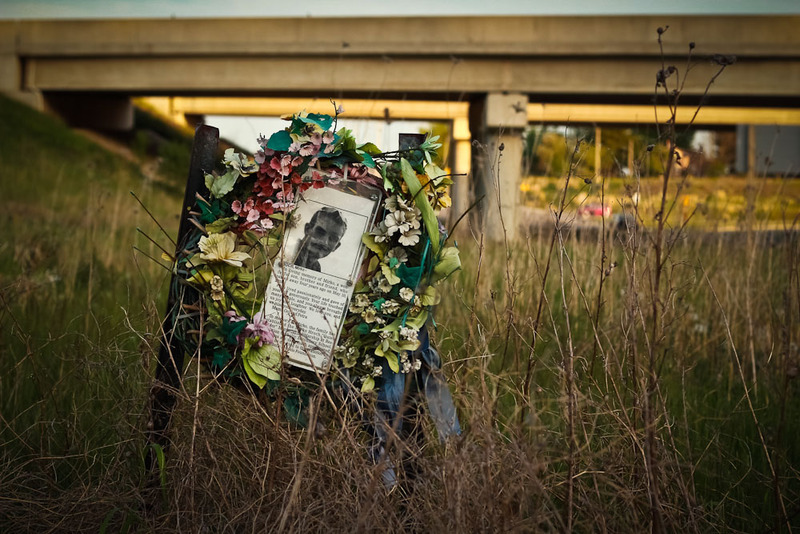 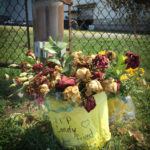 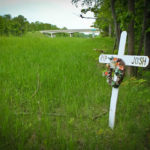 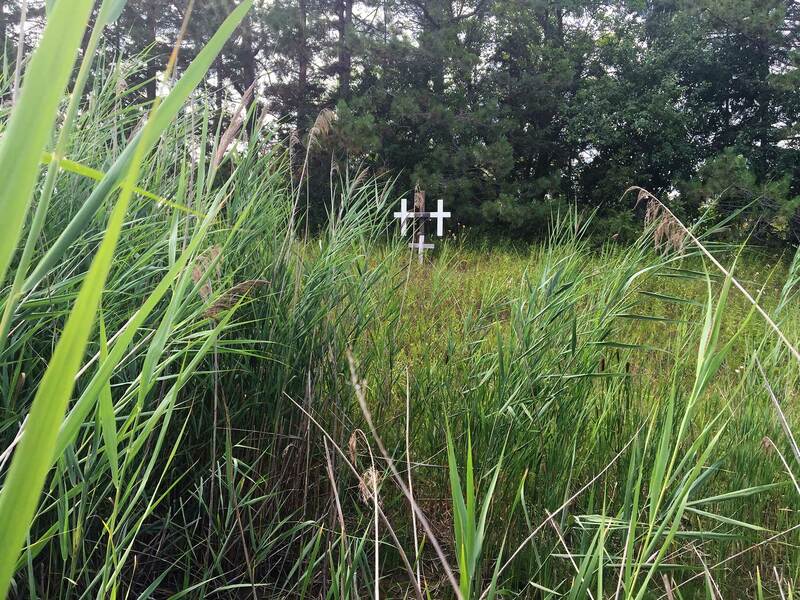 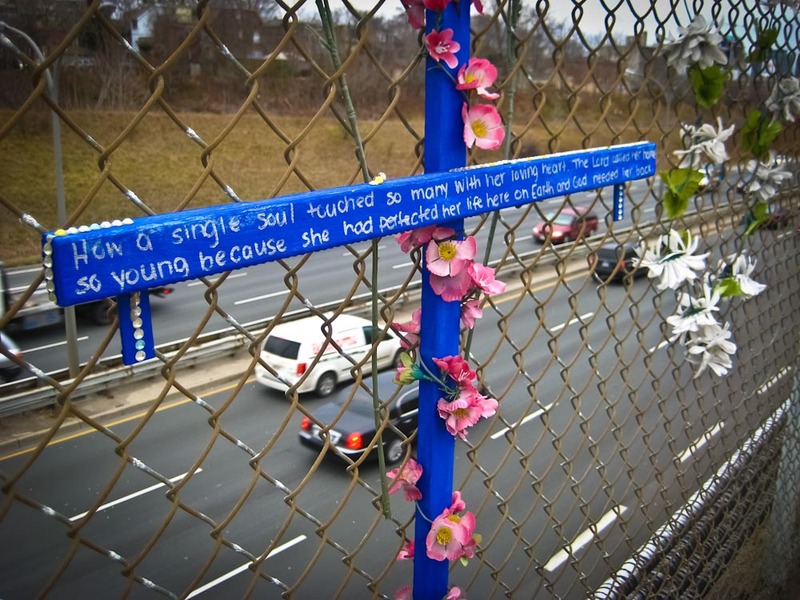 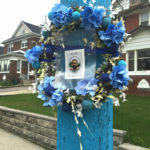 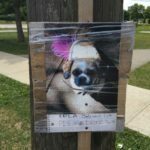 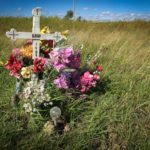 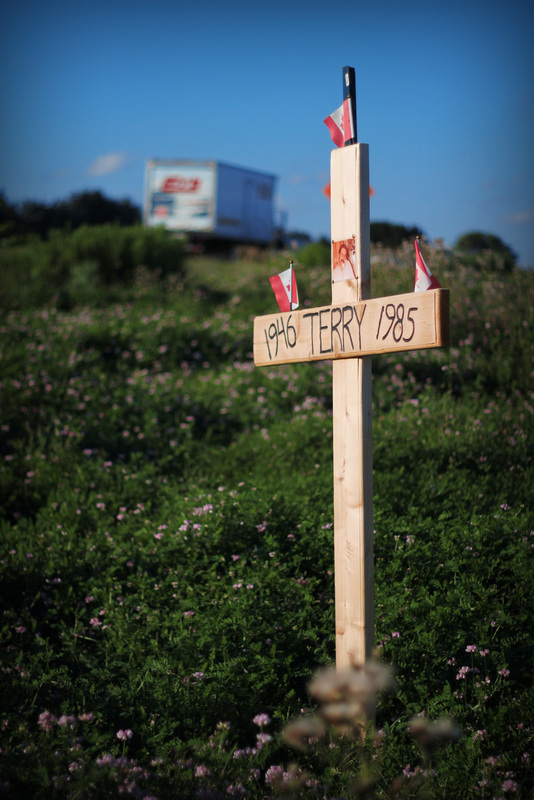 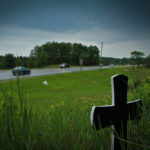 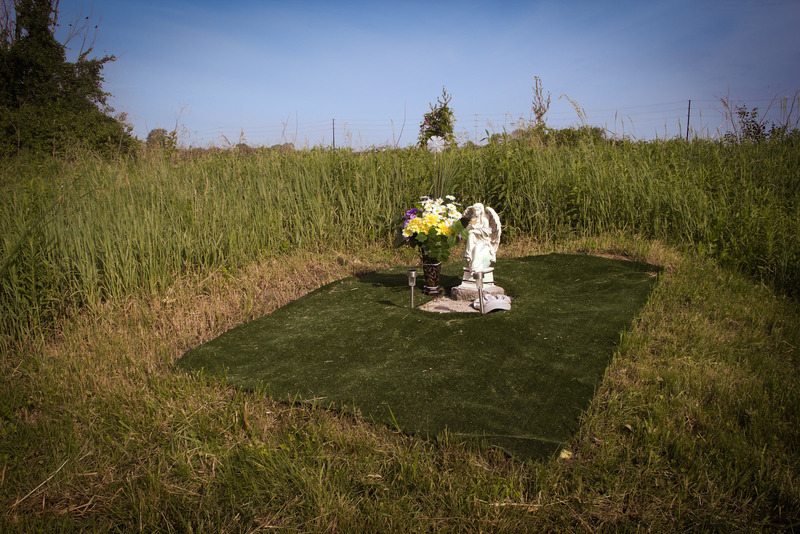 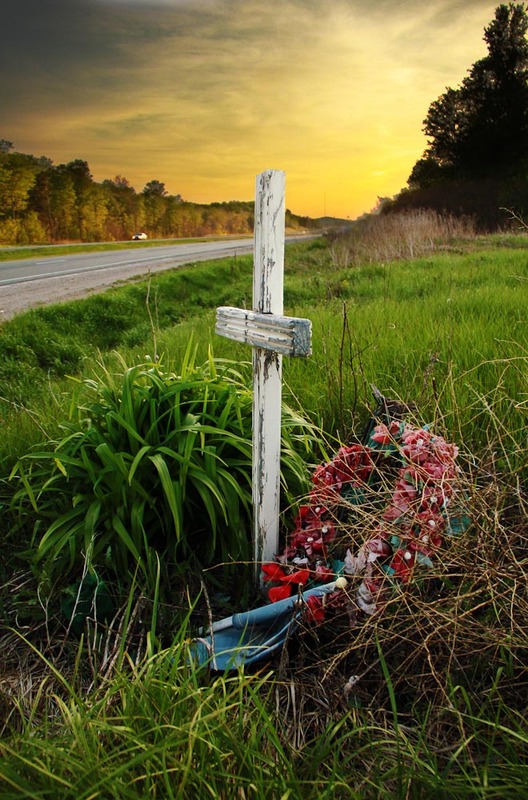 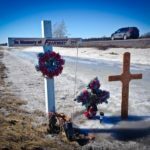 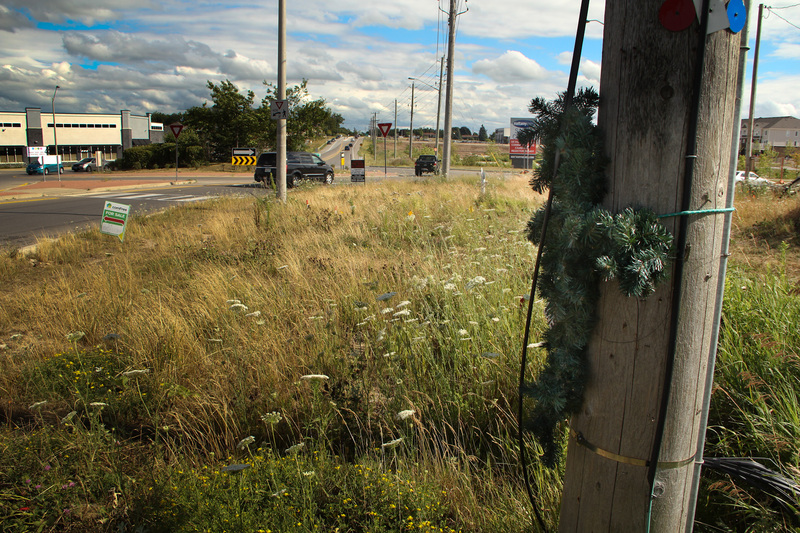 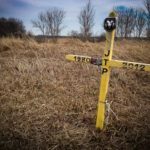 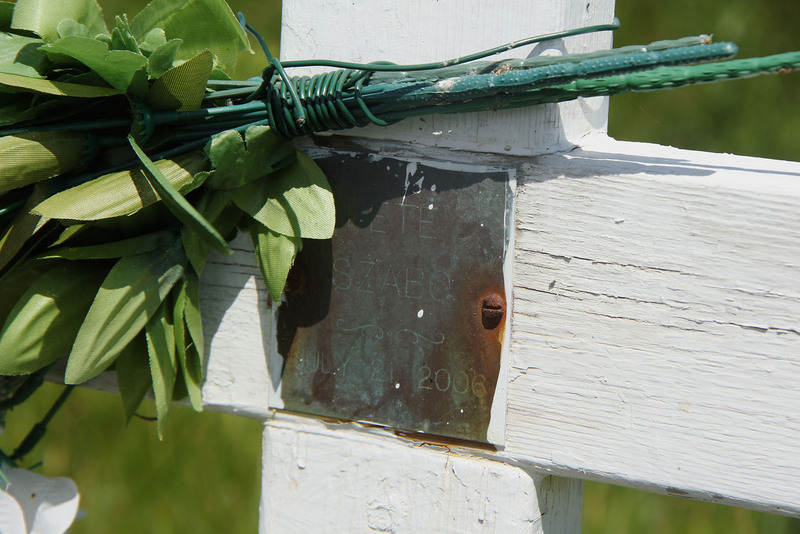 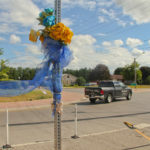 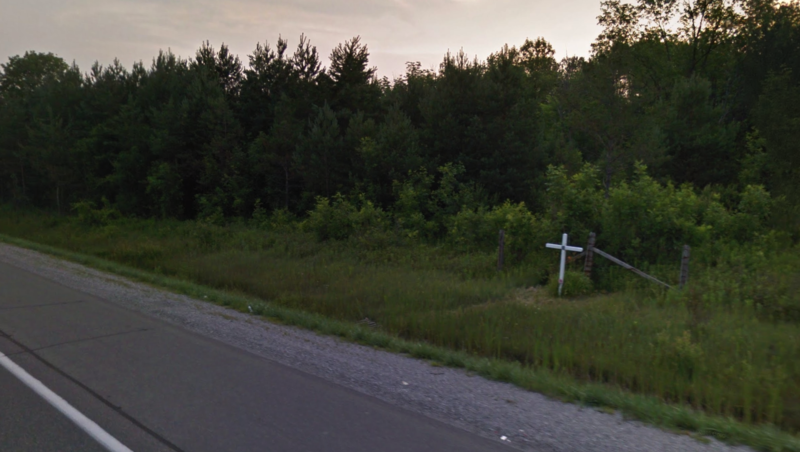 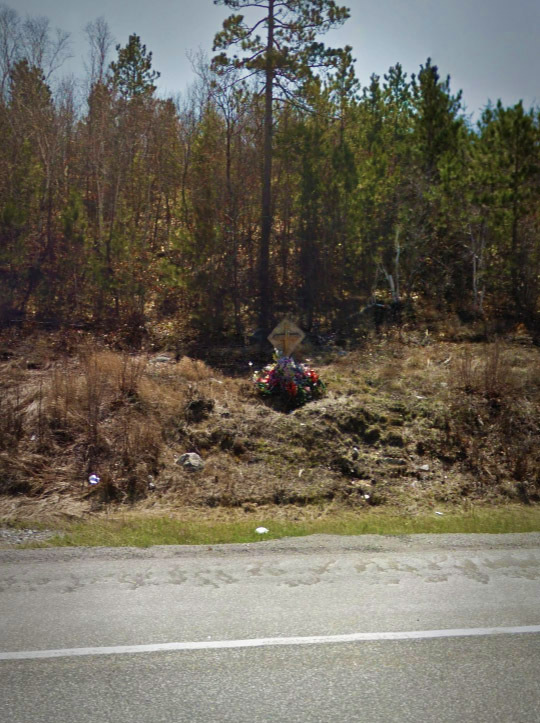 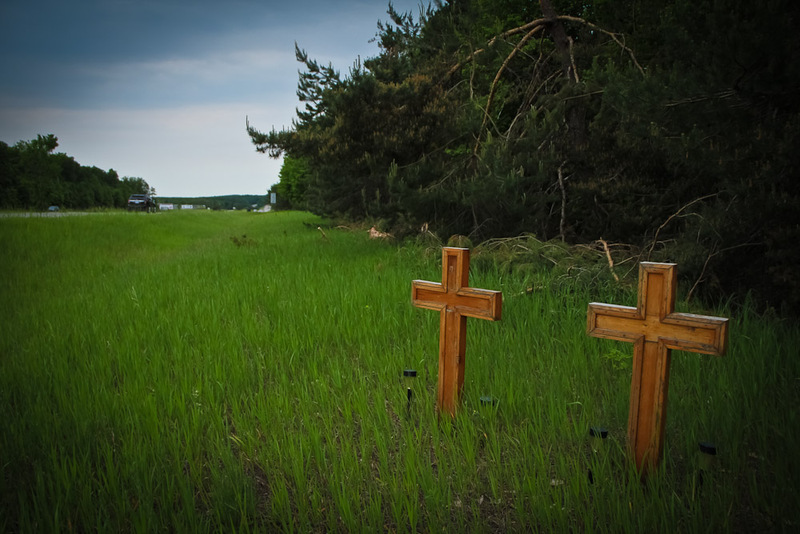 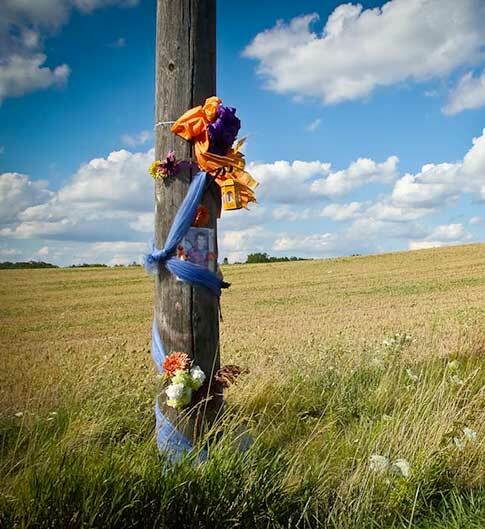 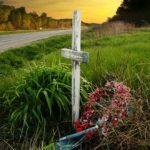 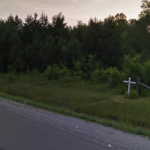 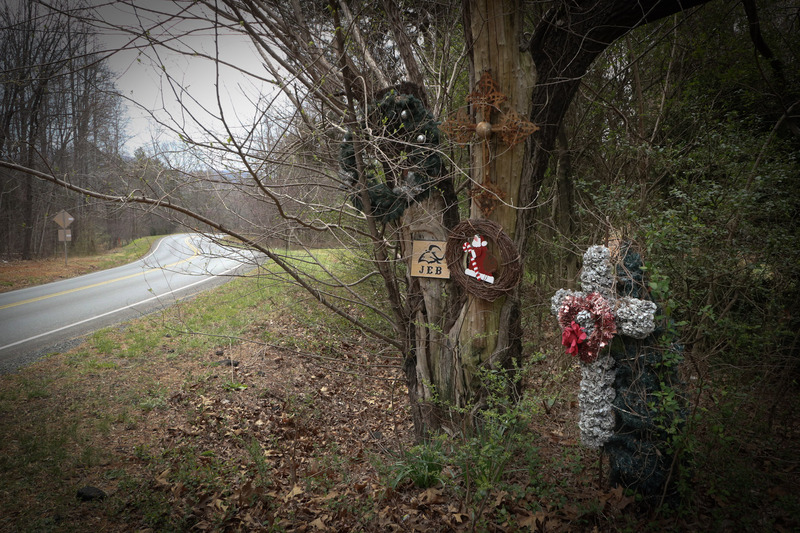 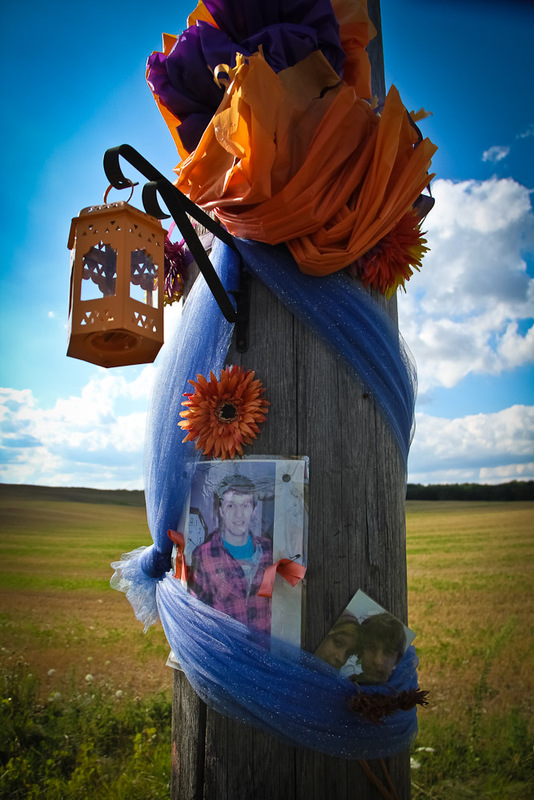 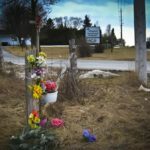 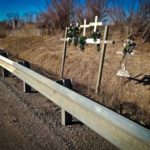 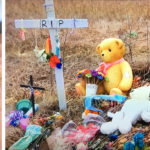 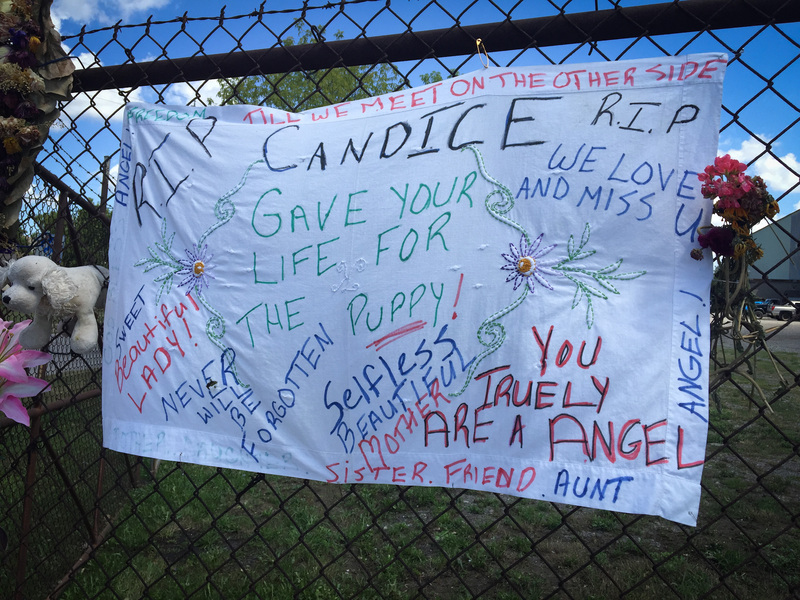 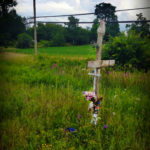 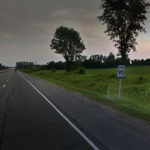 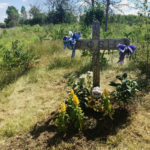 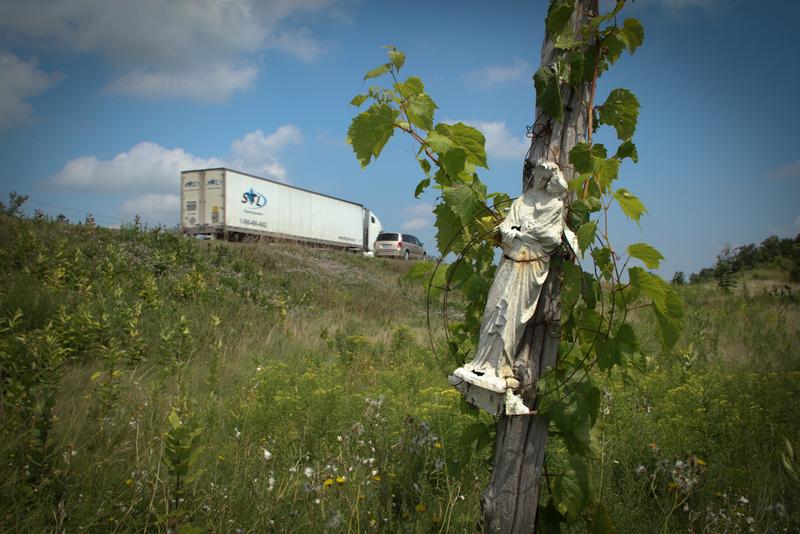 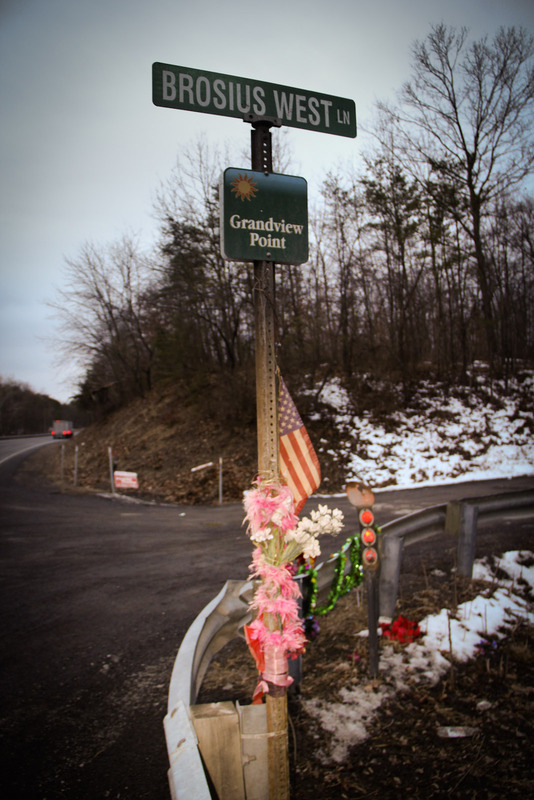 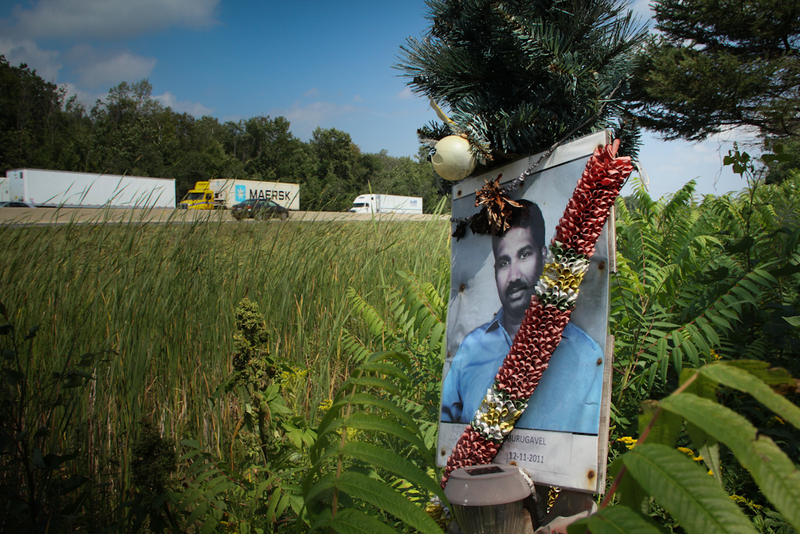 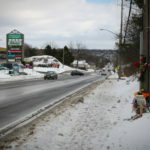 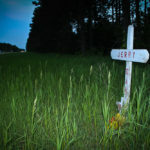 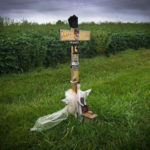 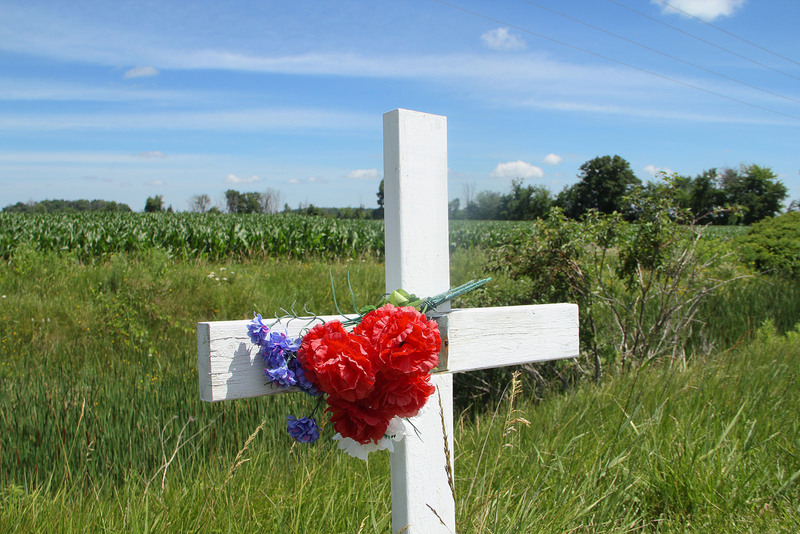 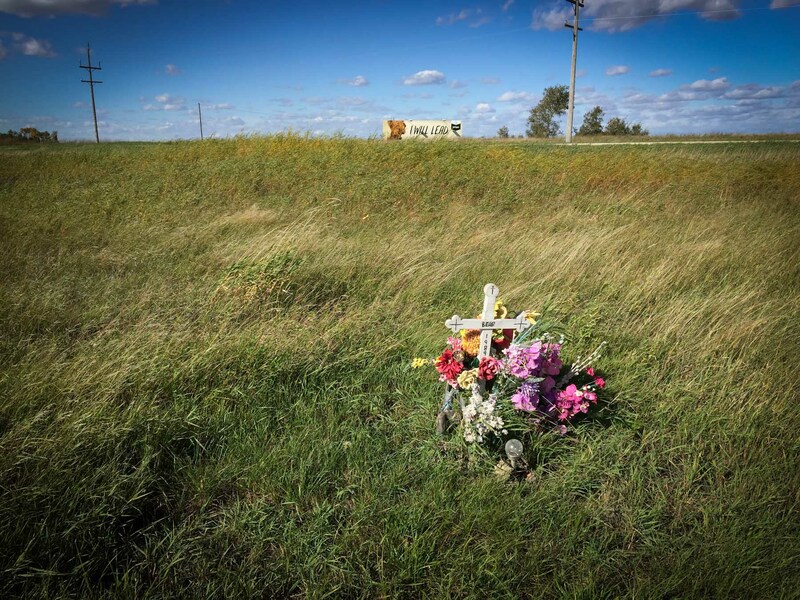 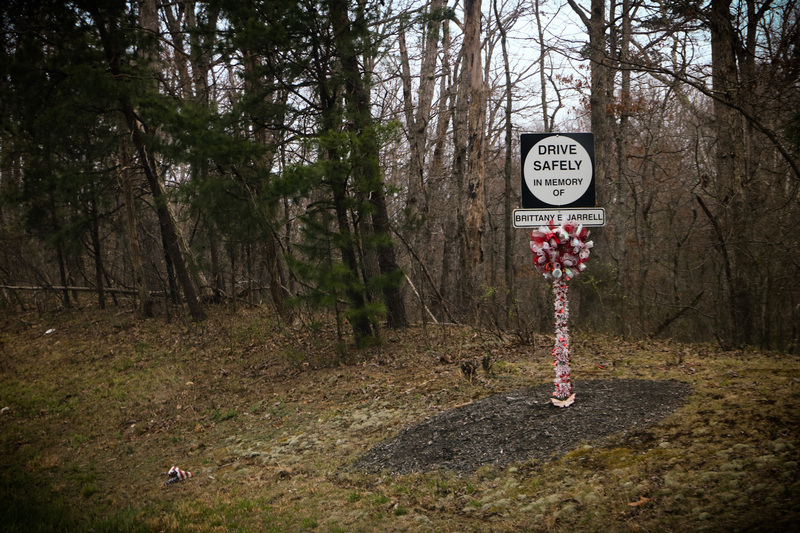 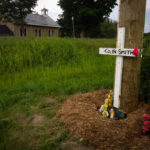 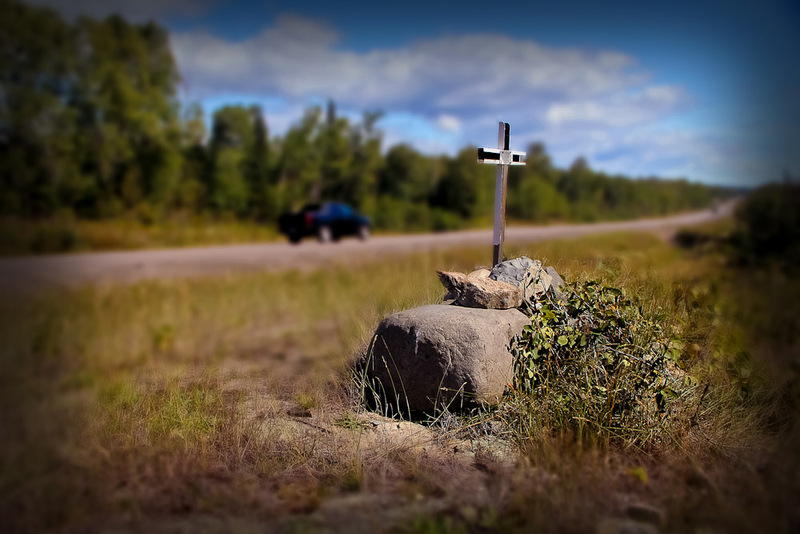 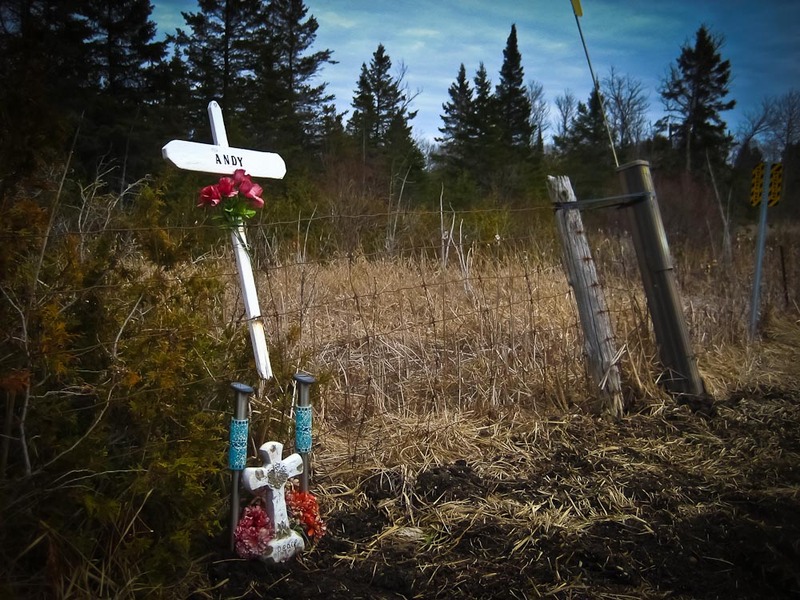 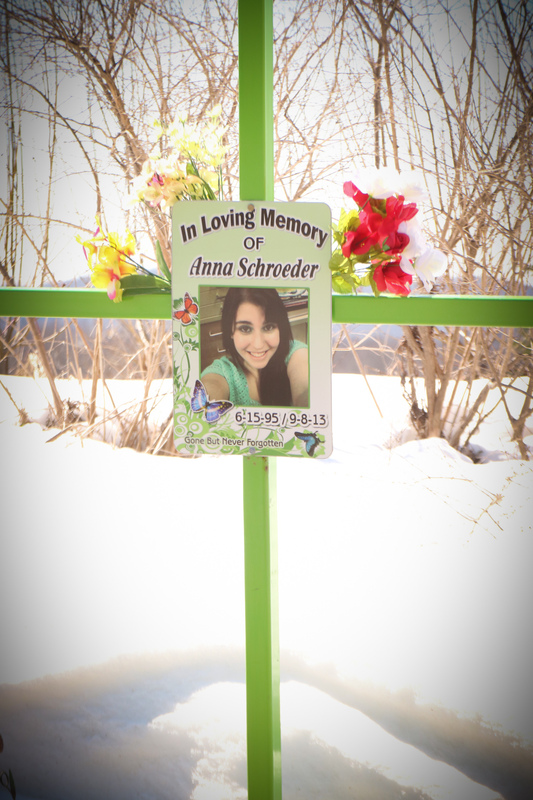 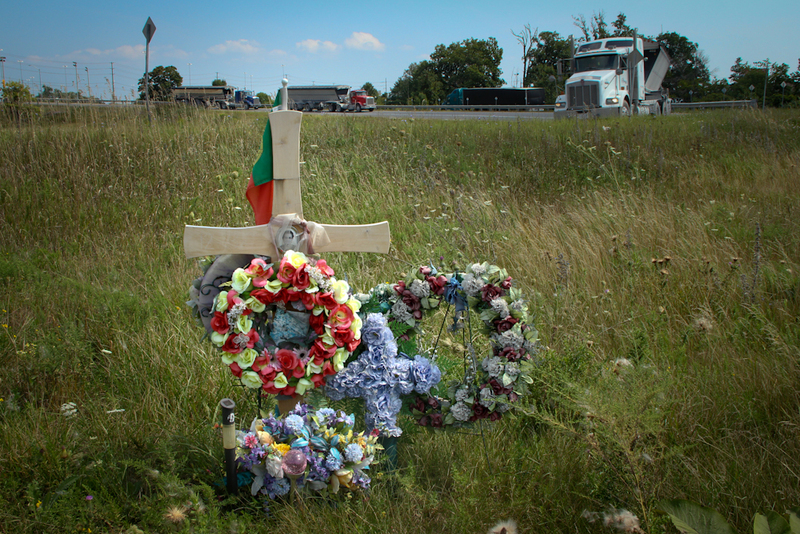 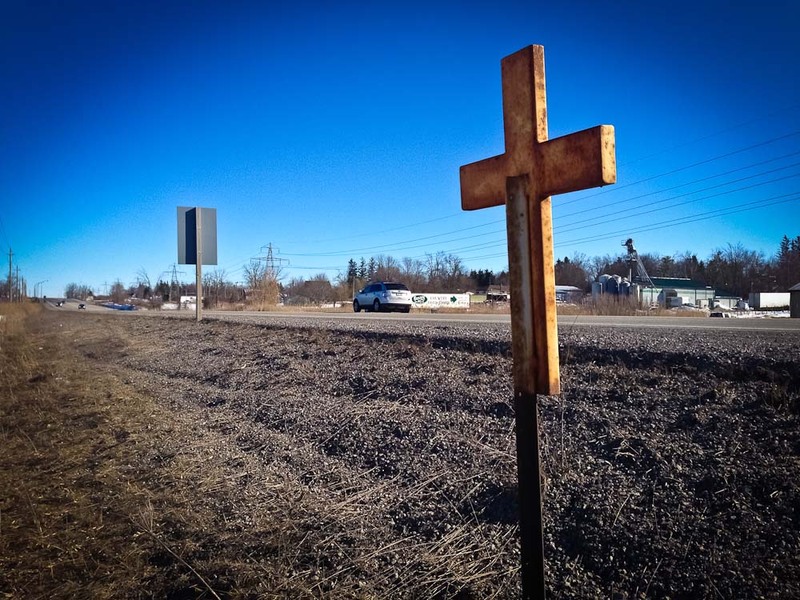 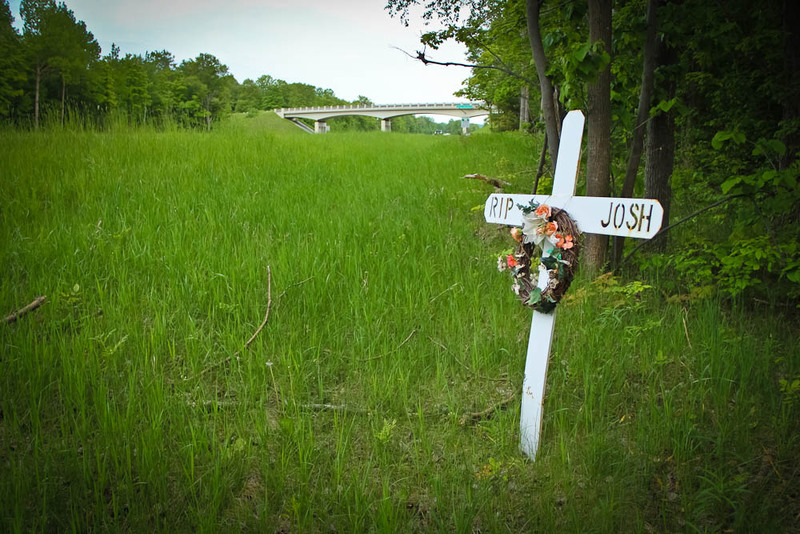 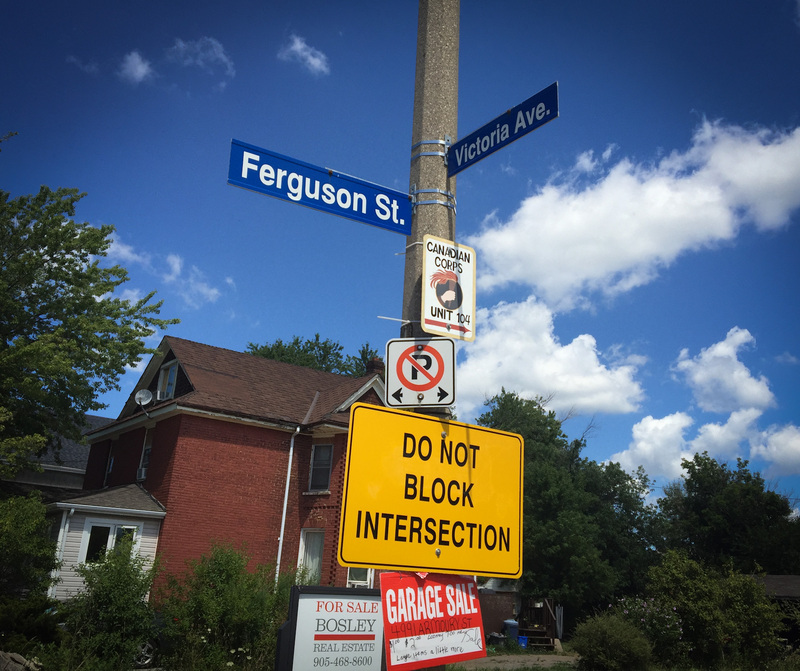 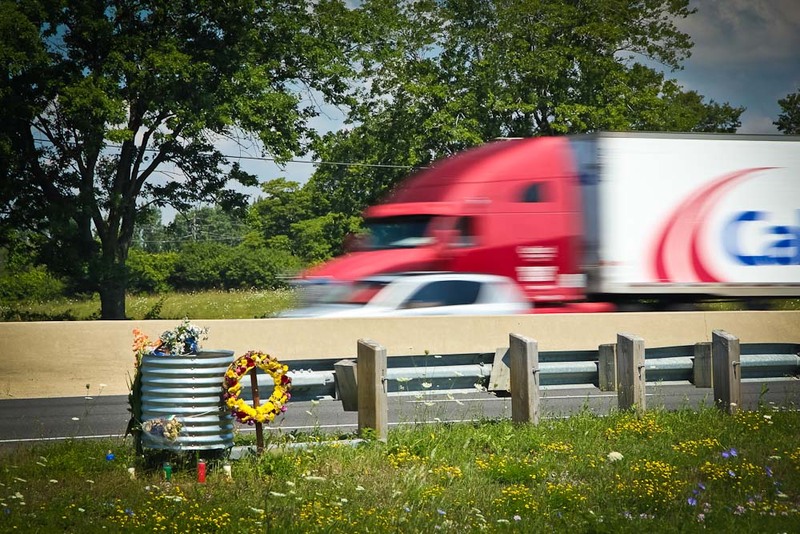 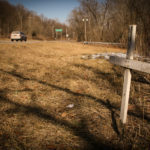 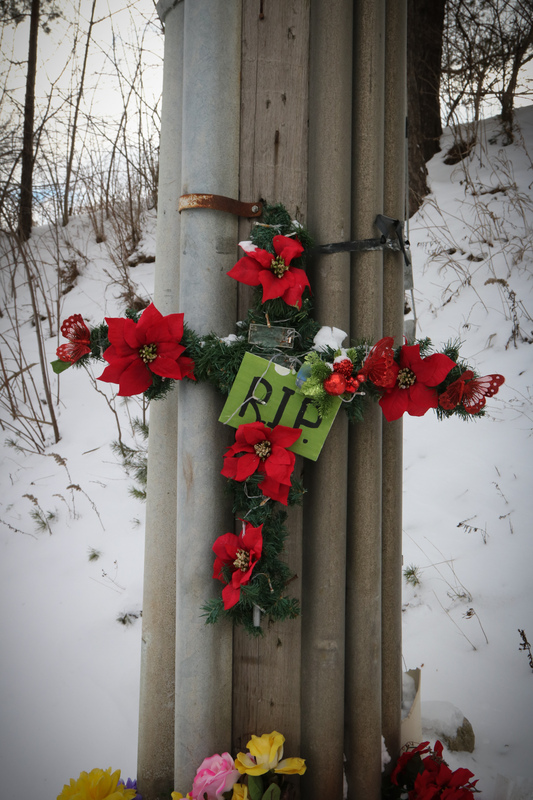 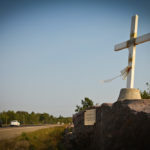 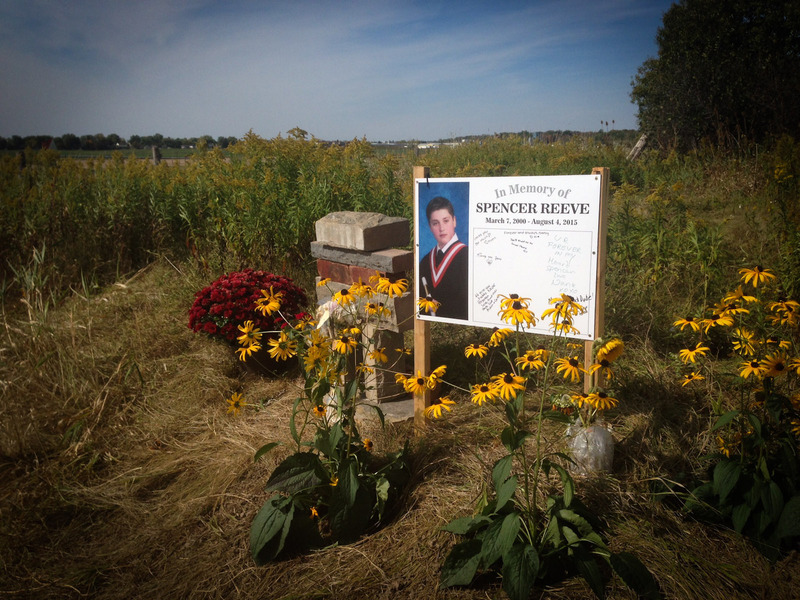 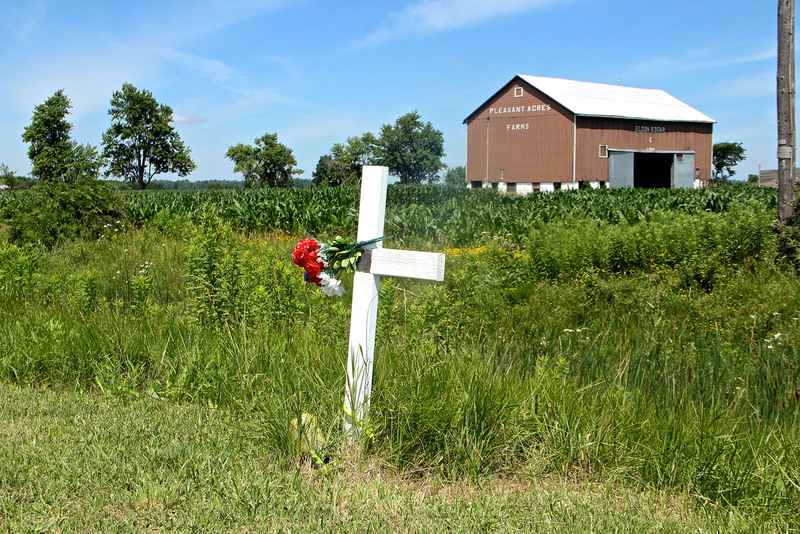 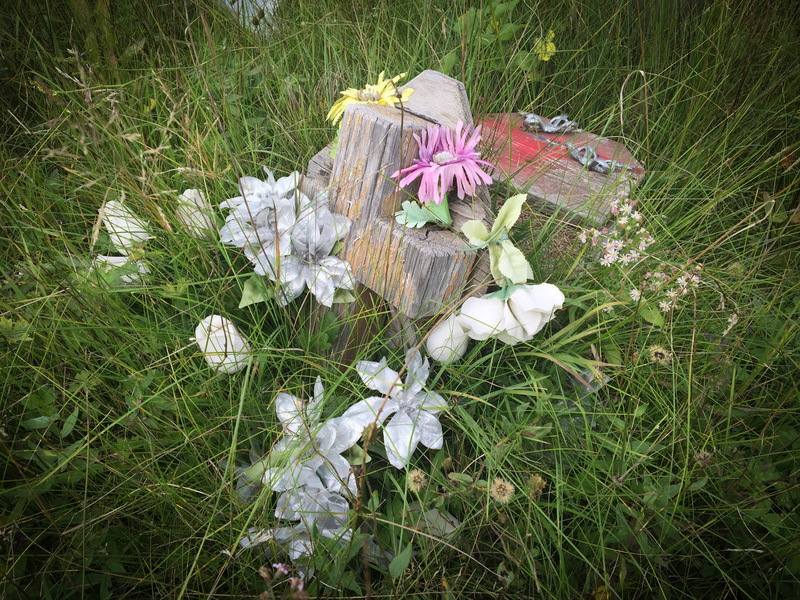 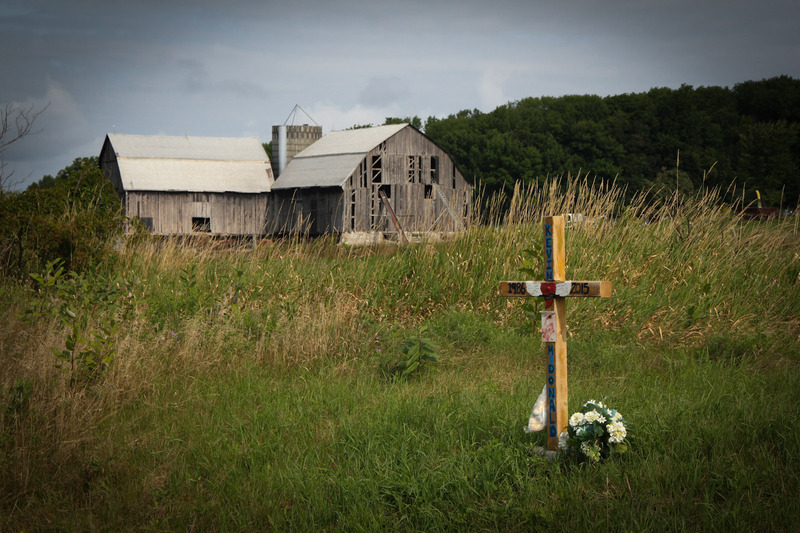 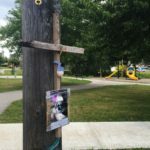 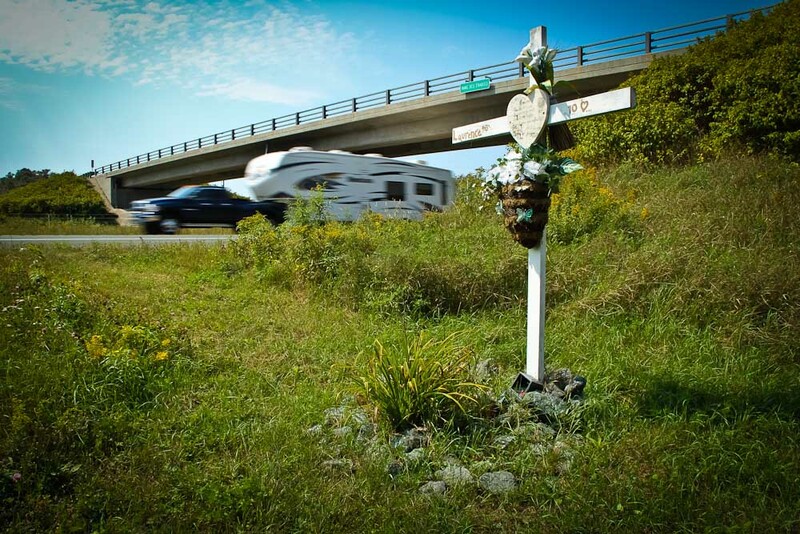 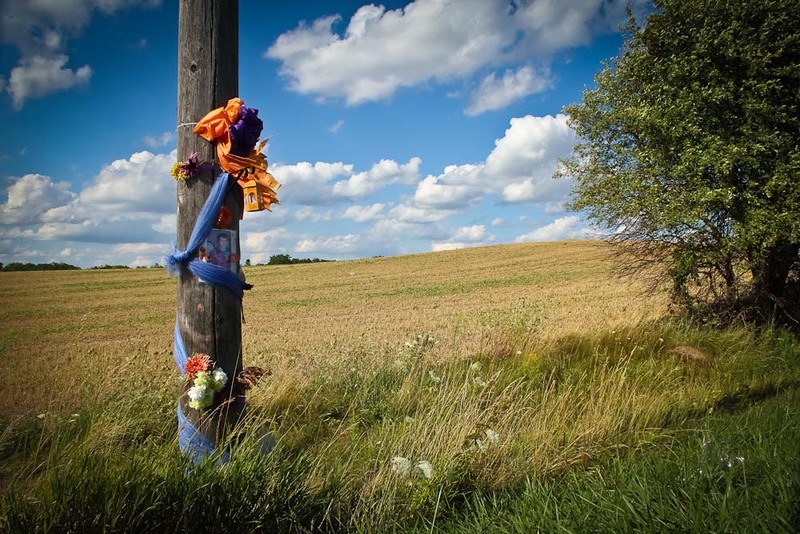 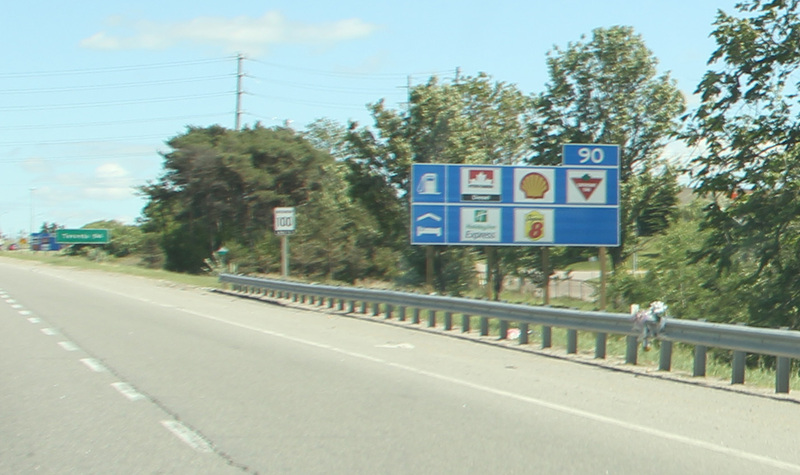 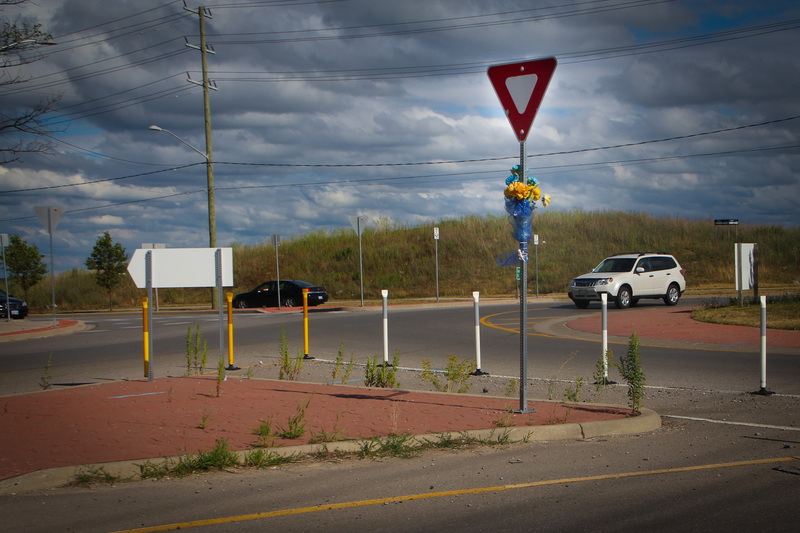 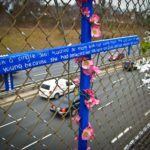 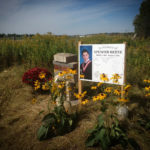 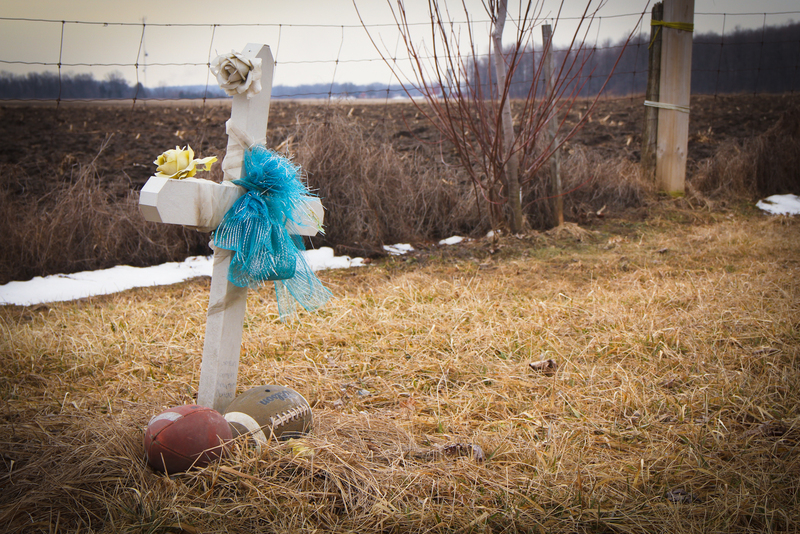 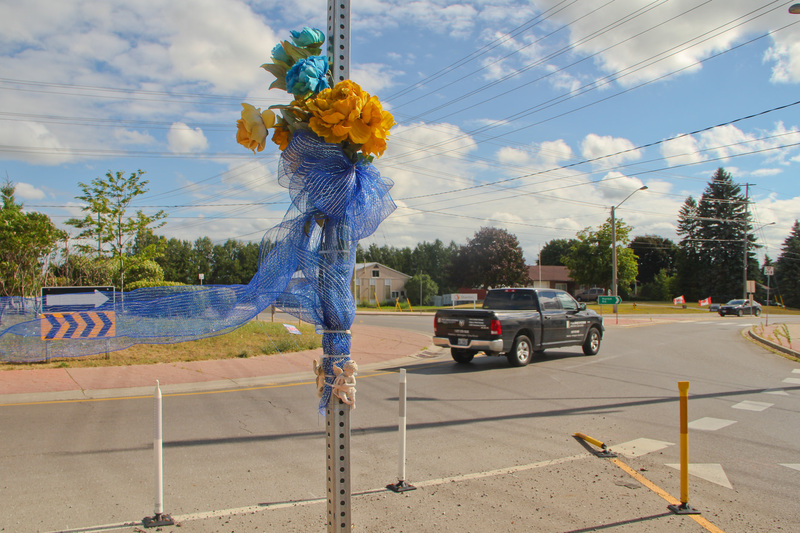 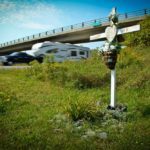 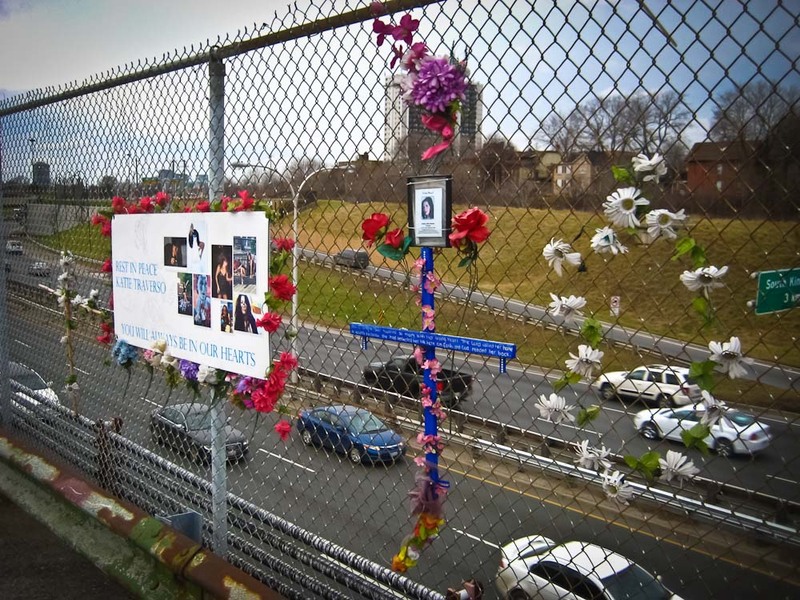 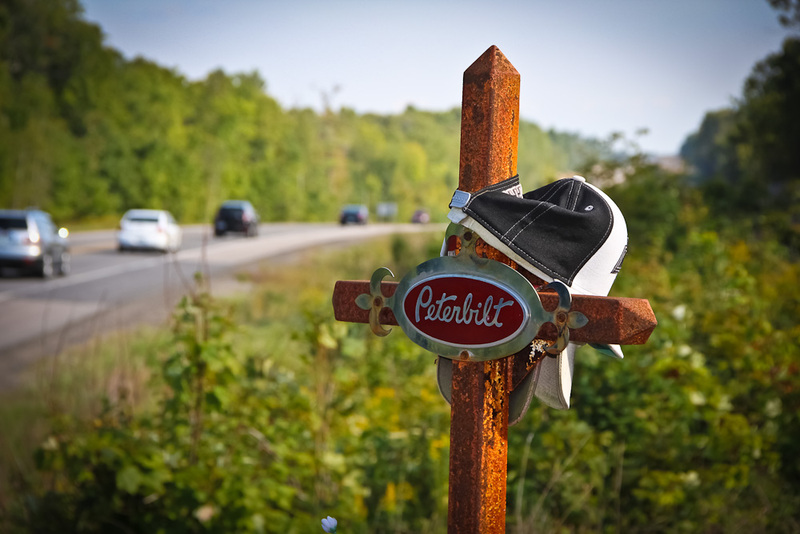 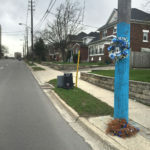 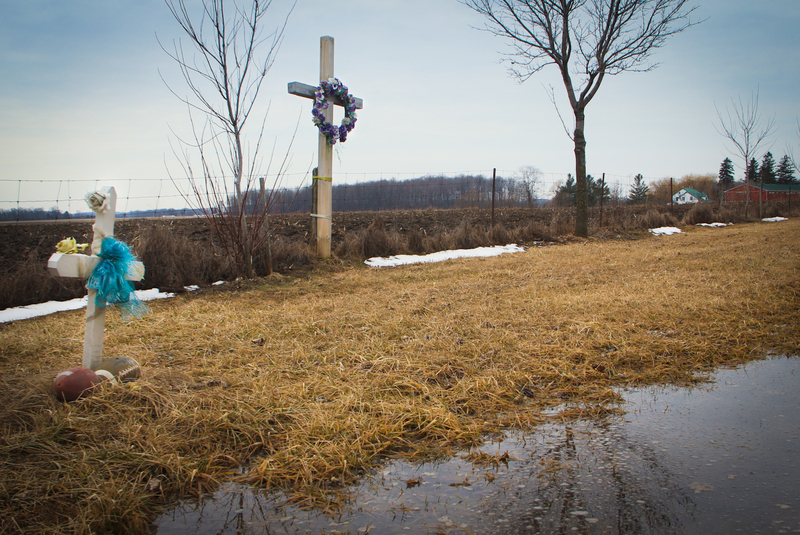 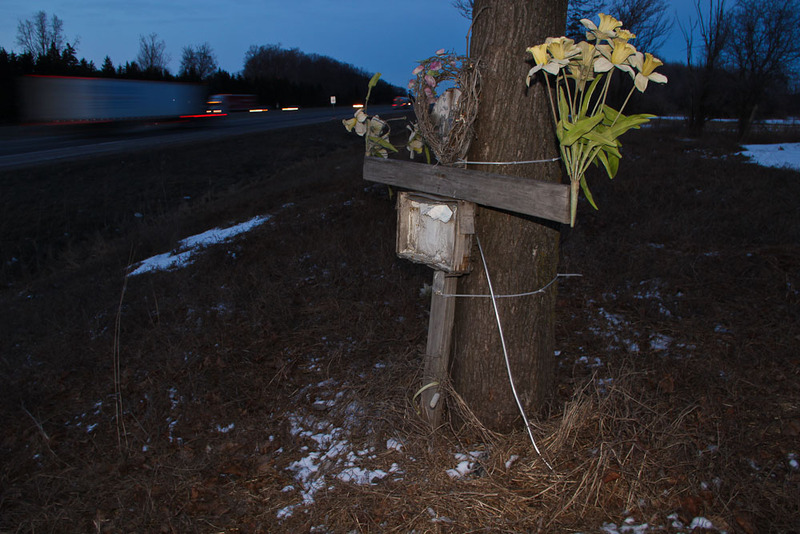 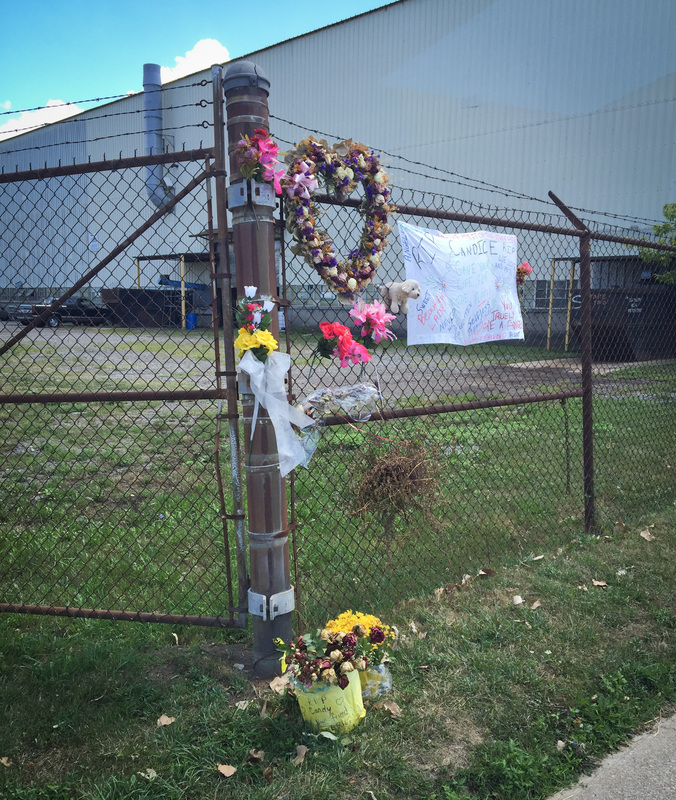 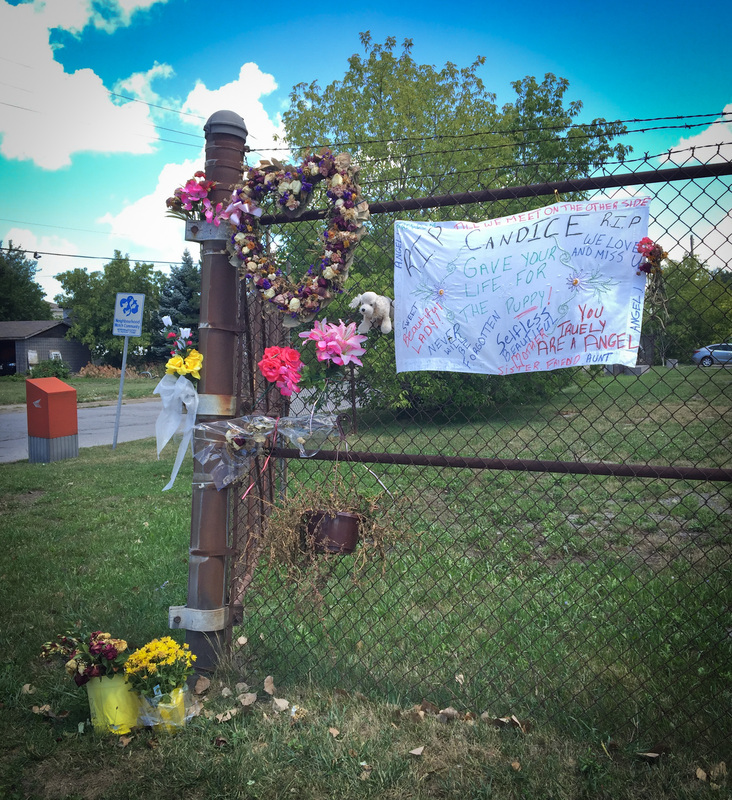 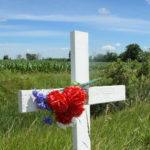 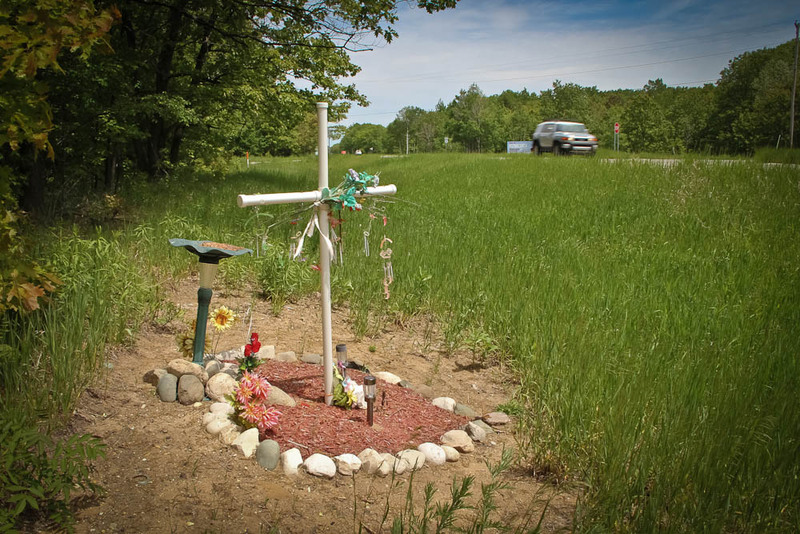 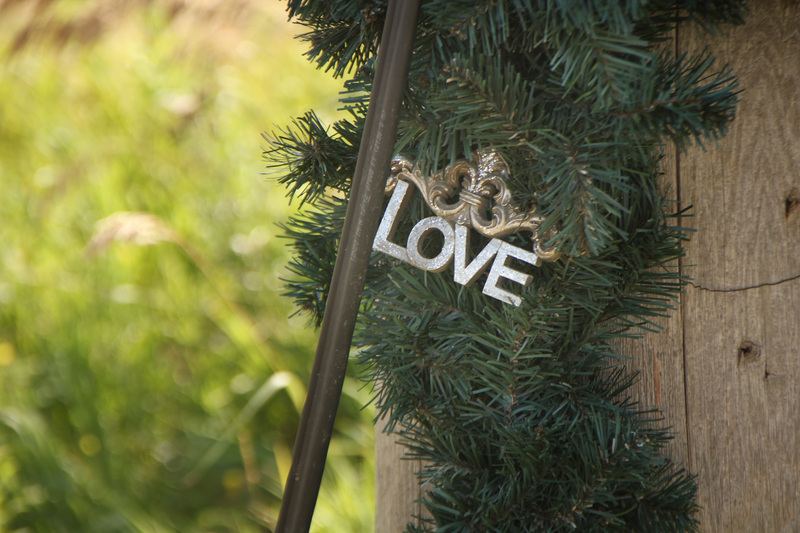 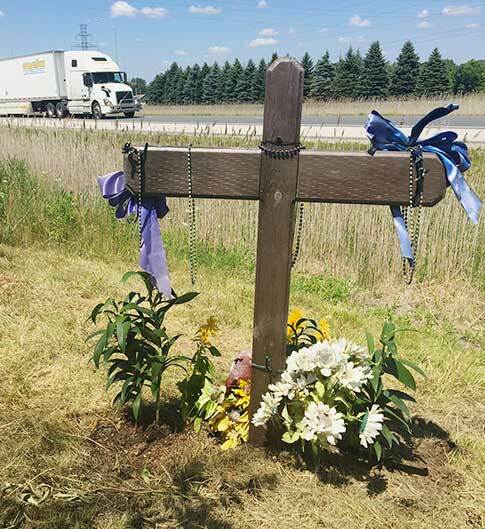 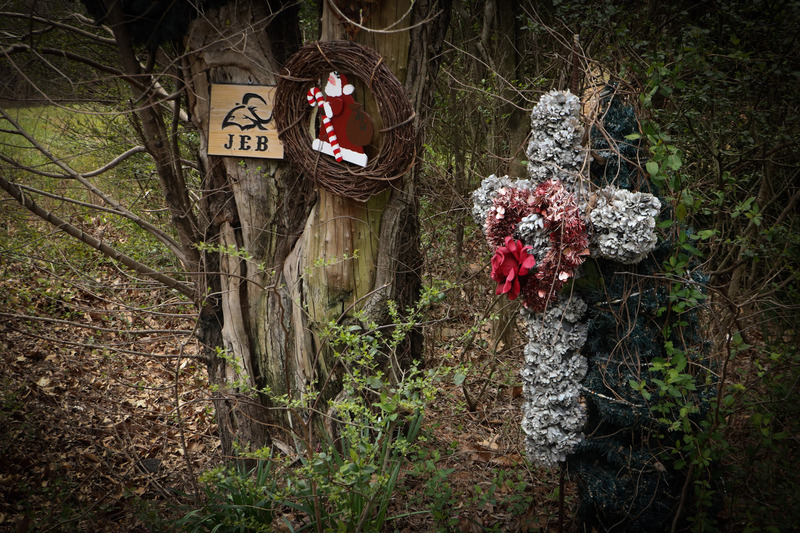 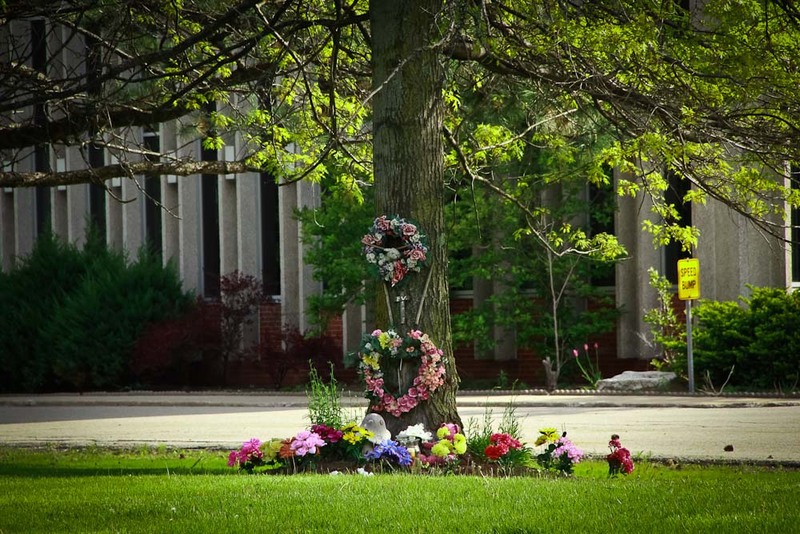 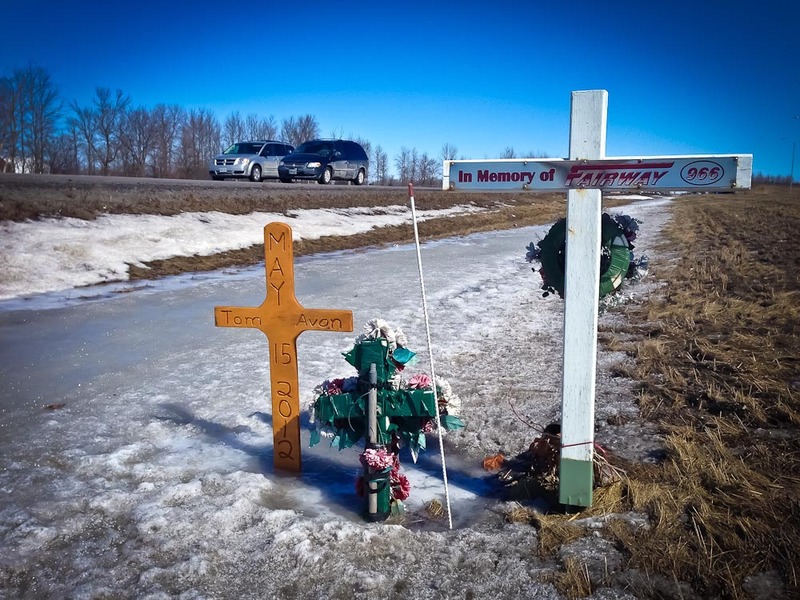 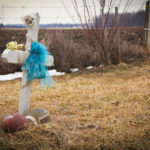 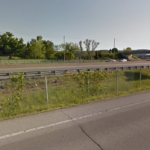 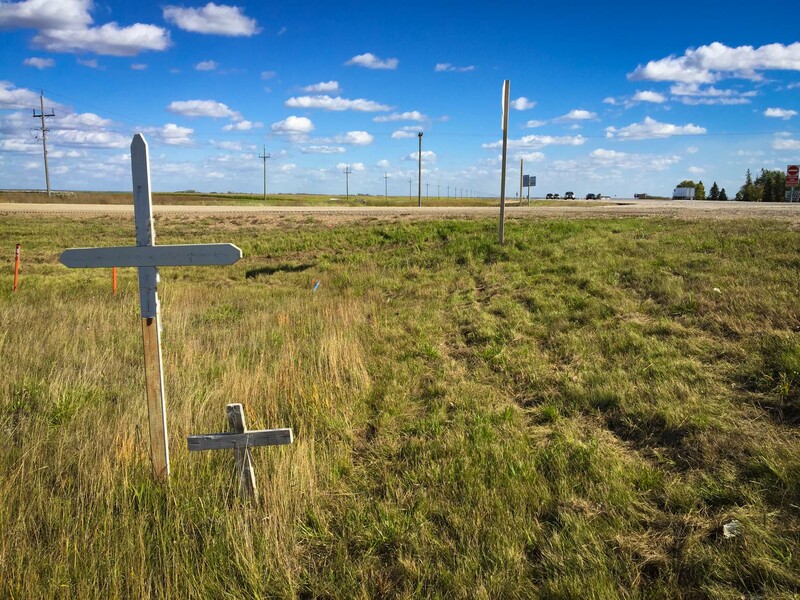 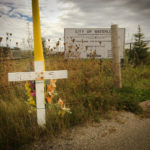 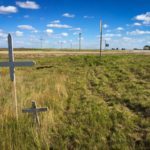 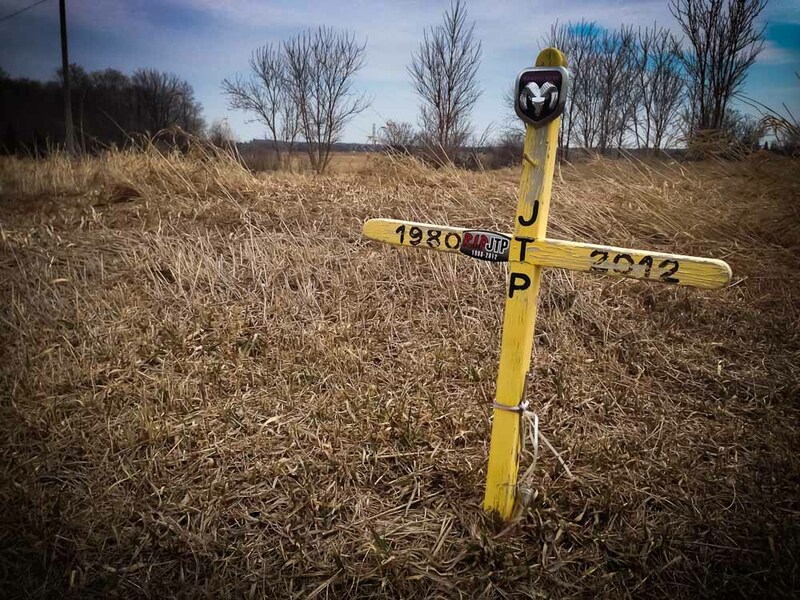 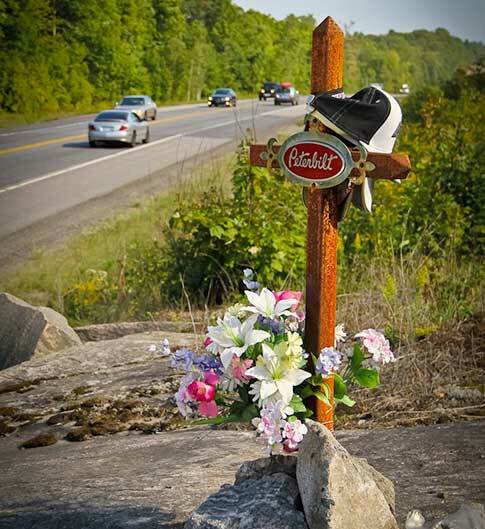 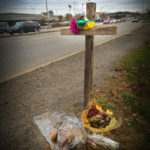 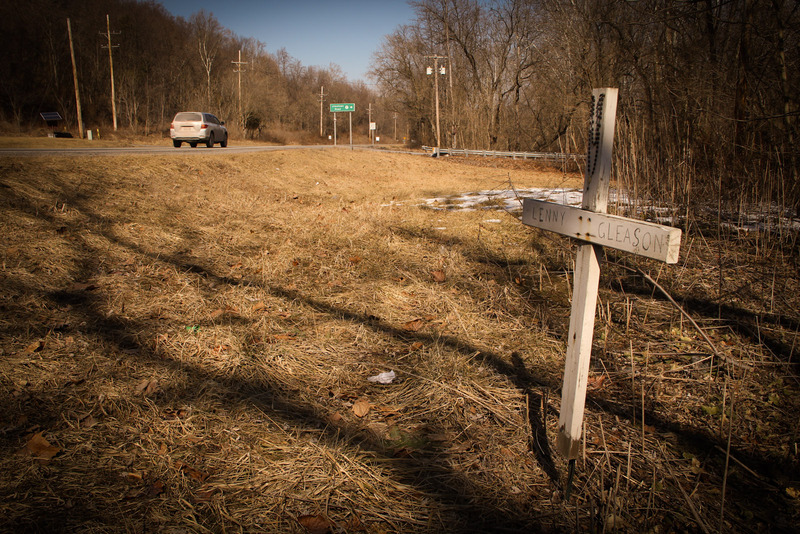 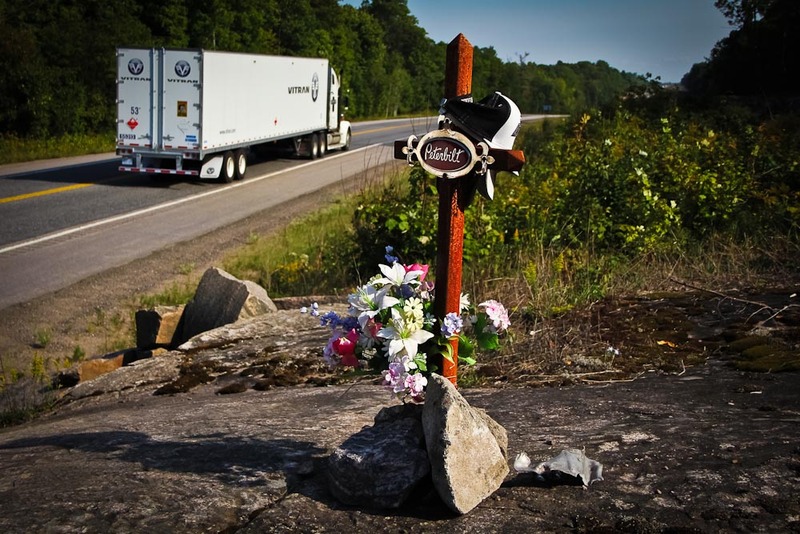 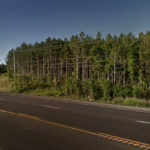 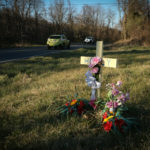 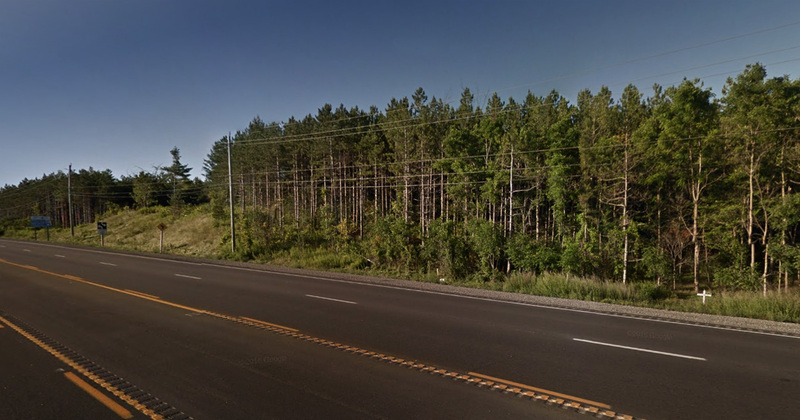 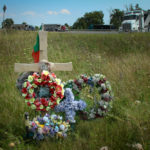 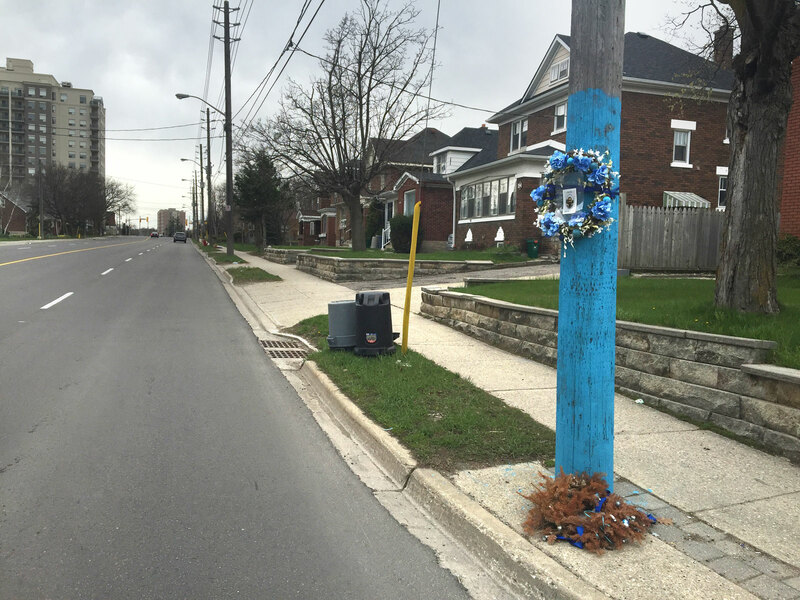 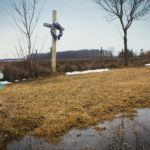 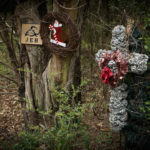 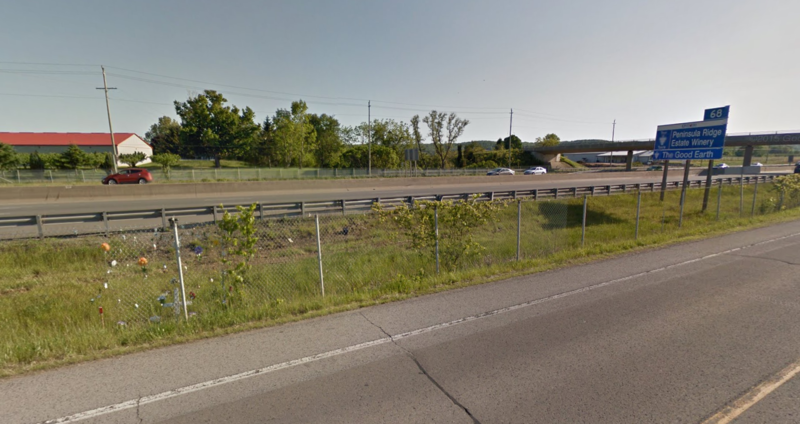 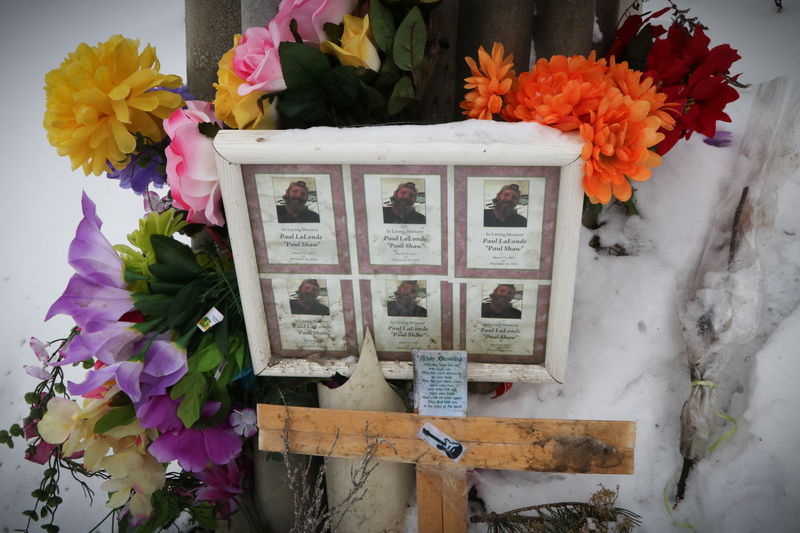 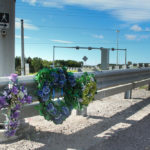 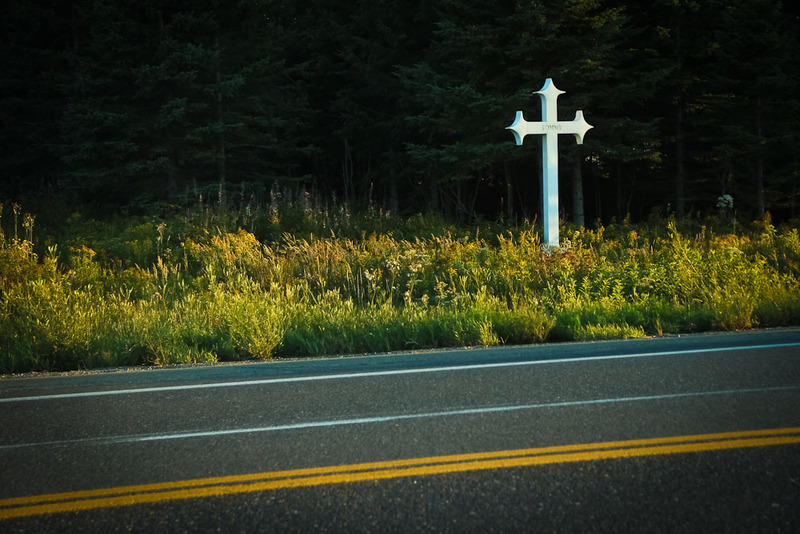 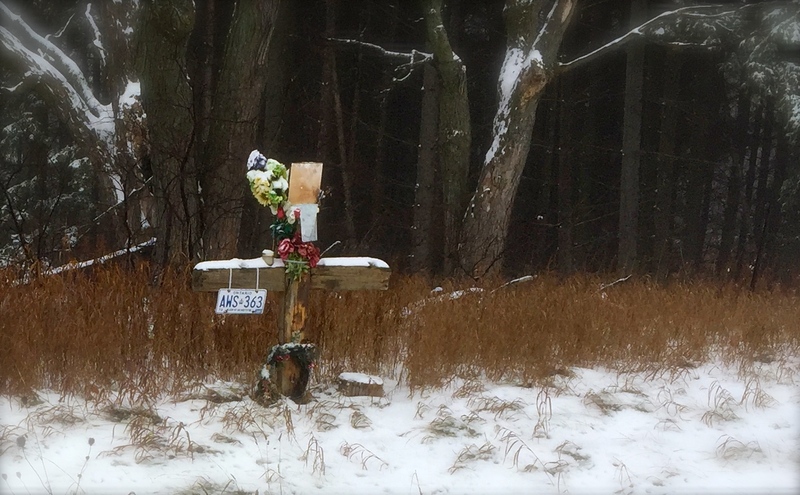 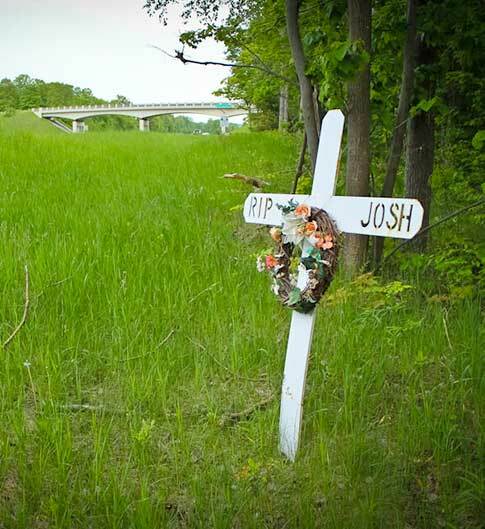 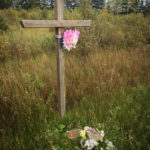 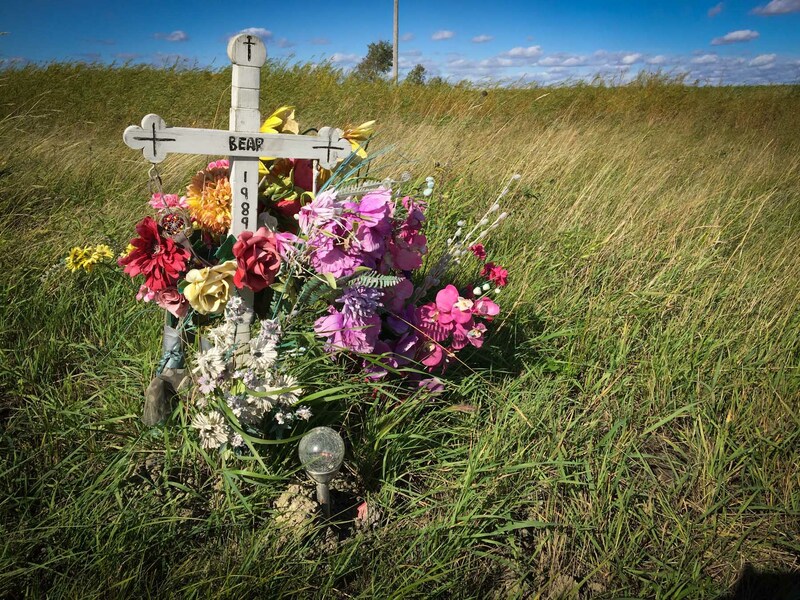 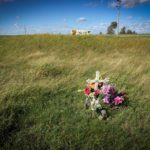 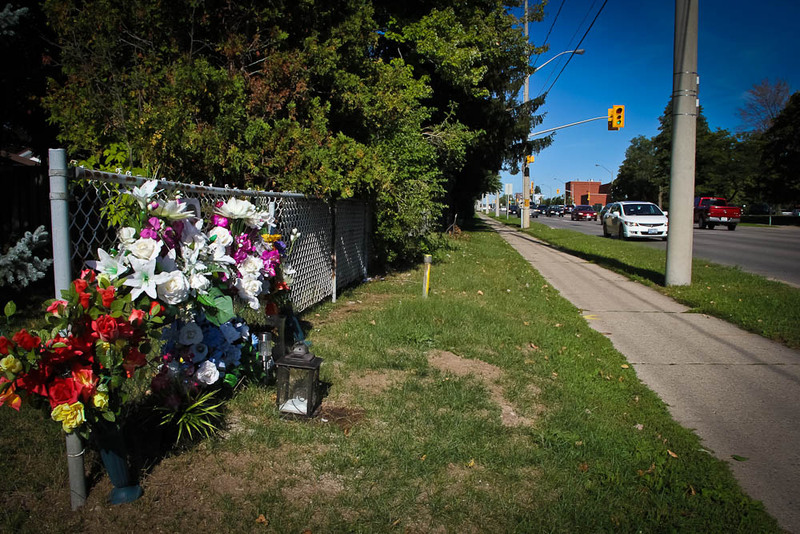 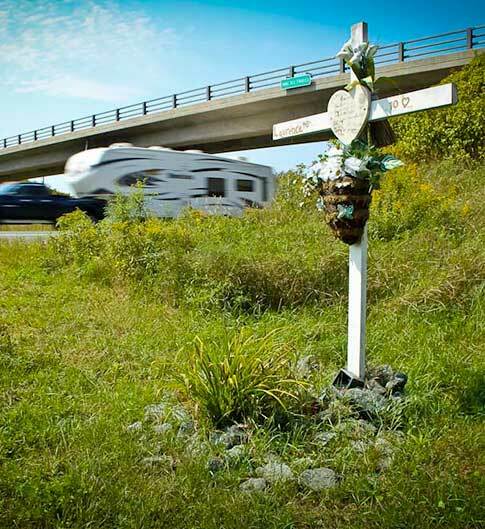 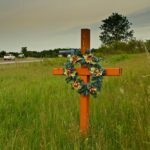 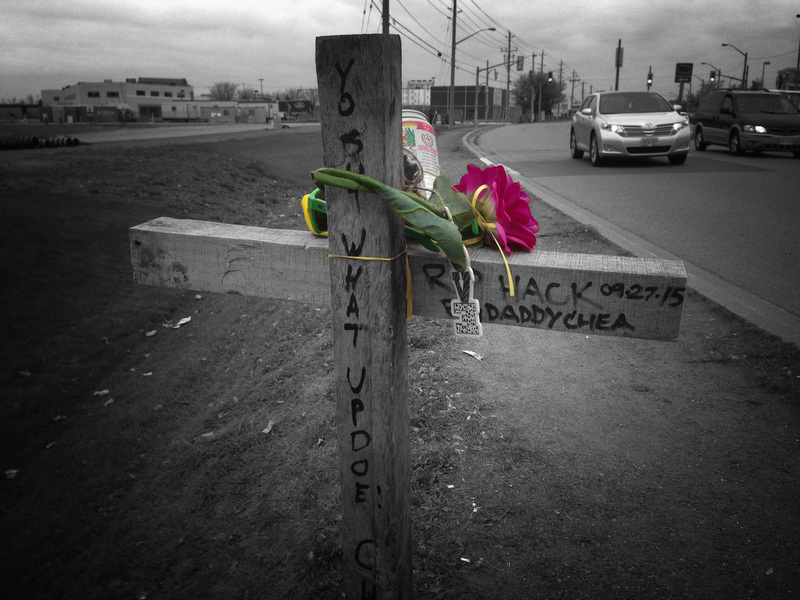 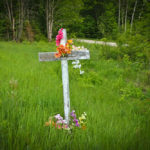 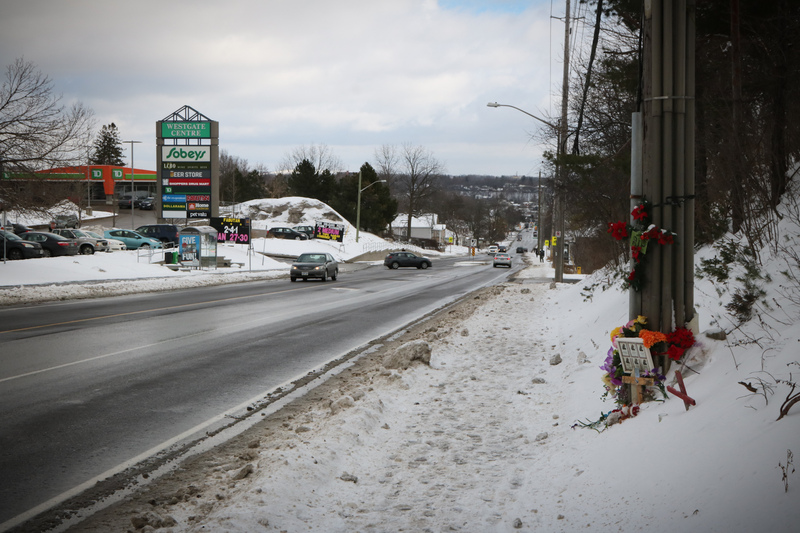 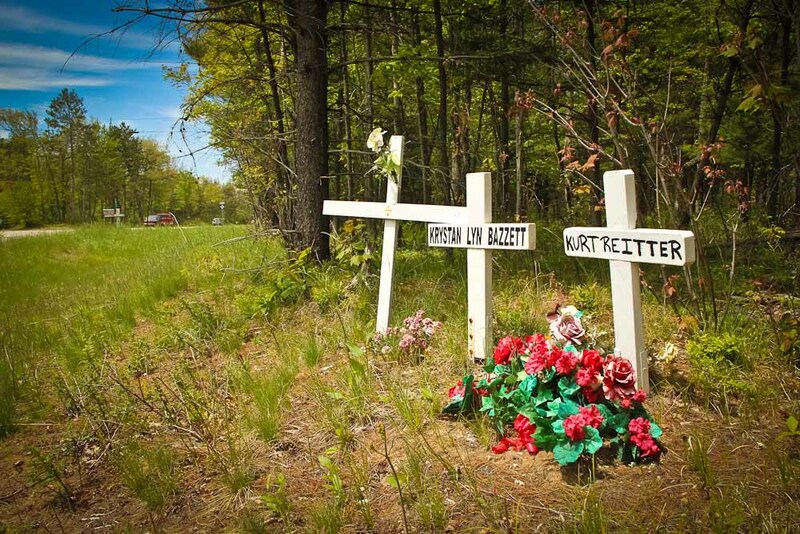 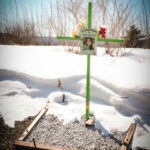 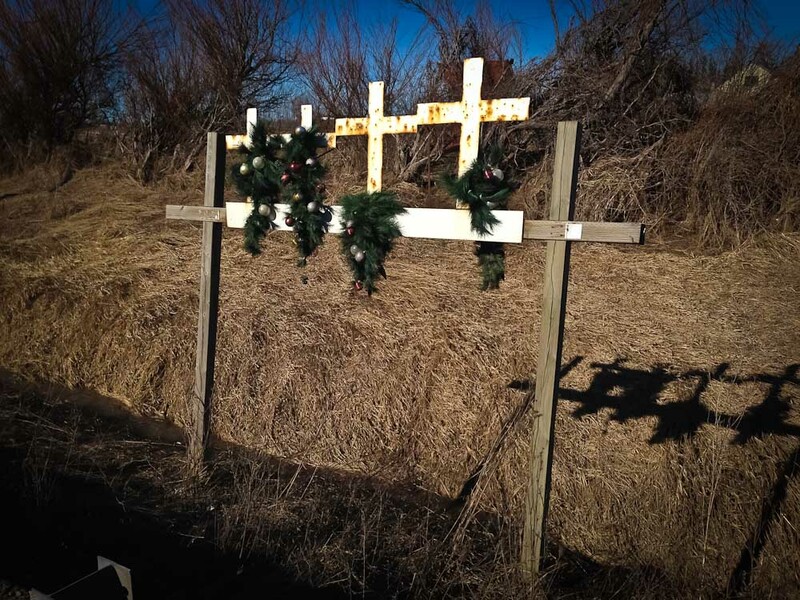 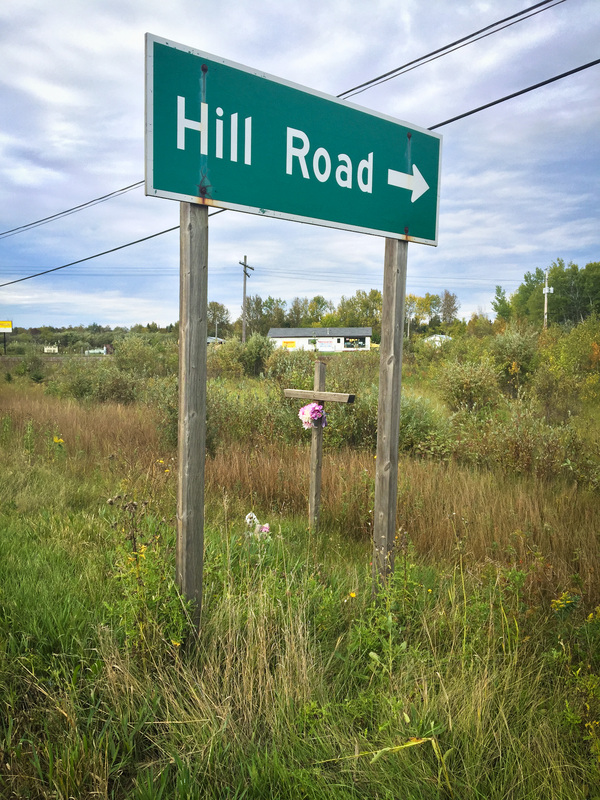 Roadside memorials help families grieve but do they make drivers more careful?